Well, I have heard it pronounced both “kef-eer” and “keef-er” and I don’t have a strong opinion on which is correct. If anyone knows for sure feel free to comment below. But call it whatever you want, what it is a superfood that has many proven health benefits of kefir supported by research. It is essentially fermented milk. 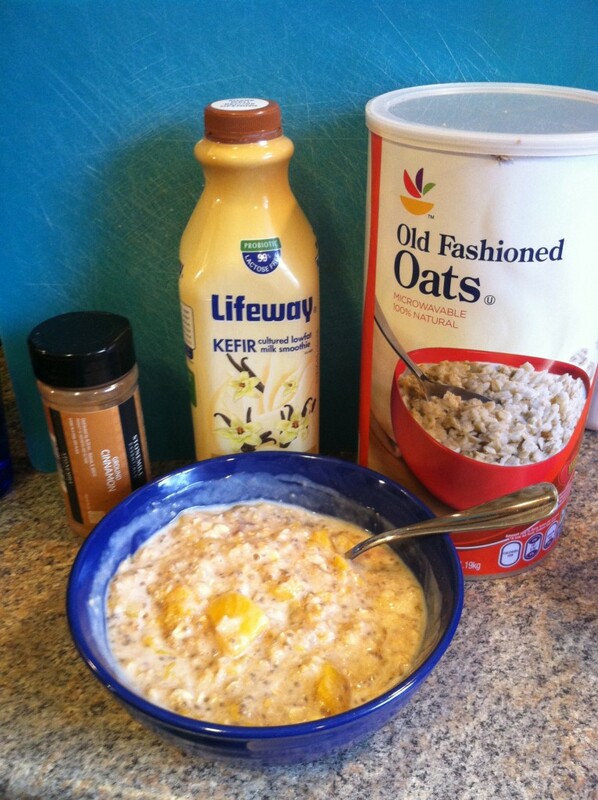 Kefir has antibiotic and antifungal properties. It’s been used in the treatment of a variety of conditions, including metabolic disorders, atherosclerosis, and allergies, tuberculosis, cancer, poor digestion, candidiasis, osteoporosis, hypertension, HIV and heart disease. It may also help restore a better balance to the gut flora, alleviating conditions such as diarrhea, constipation, gas, and bloating. Many lactos-intolerant people also find they are able to drink kefir without difficulty, as the fermentation breaks down much of the problematic sugars in the milk. If you’re interested, feel free to read about the differences between kefir and yogurt . In addition to beneficial bacteria and yeast, kefir contains many vitamins, minerals, amino acids and enzymes. Among these small health benefits are: calcium, phosphorus, magnesium, B2 and B12, vitamin K, vitamin A and vitamin D, and many amino acids. In particular, tryptophan, one of the essential amino acids abundant in kefir, is well known for its relaxing effect on the nervous system. Kefir in the diet can have a particularly calming effect on the nerves due to this and other salts important for a healthy nervous system. 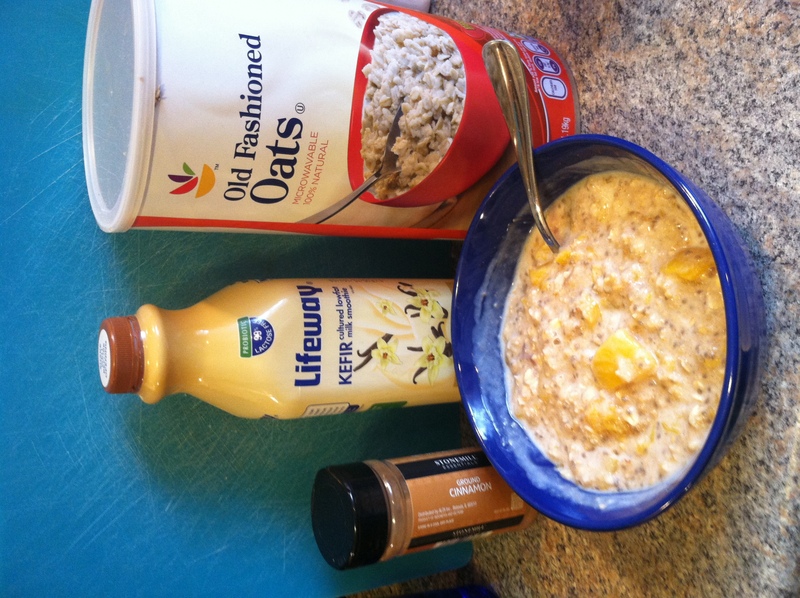 So now that I’ve hopefully convinced you to give kefir a chance, how do you get it into your diet? Well, of course one option is to just eat/ drink it as if it were yogurt, as a snack or part of a meal. You can also use it like milk and pour over cereals for breakfast. 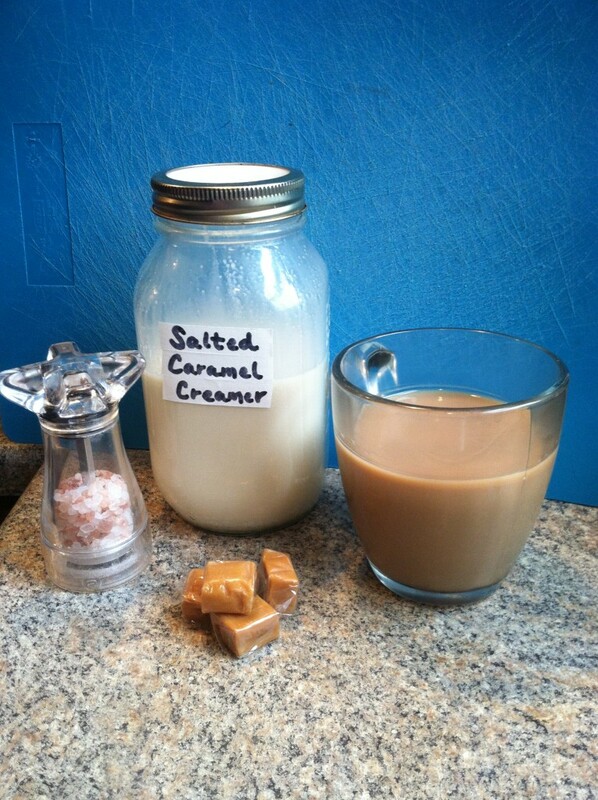 You can whip it up into a smoothie just as you would with water or milk. 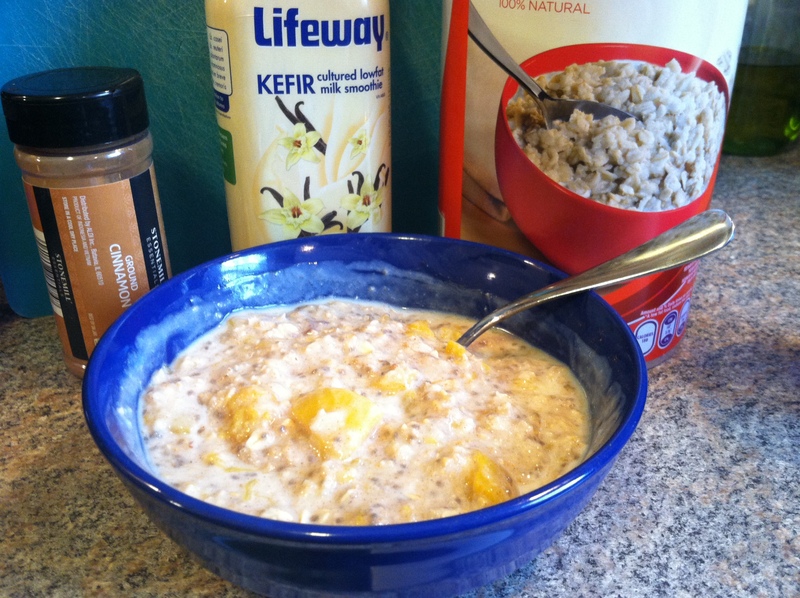 Or you can try this delicious recipe to make Kefir Oatmeal! Step 1: Pour the oats and water into a bowl with the peaches, and microwave on high about 3 minutes. You can also cook this in a slow cooker on low overnight, or simmer on the stove top for 5-7 minutes. Feel free to use any type of fruit you have and like here, frozen berries work well, as do bananas, pears, cherries, or apples. You can also make this at night, and let it sit at room temperature, covered, overnight for some extra fermentation. 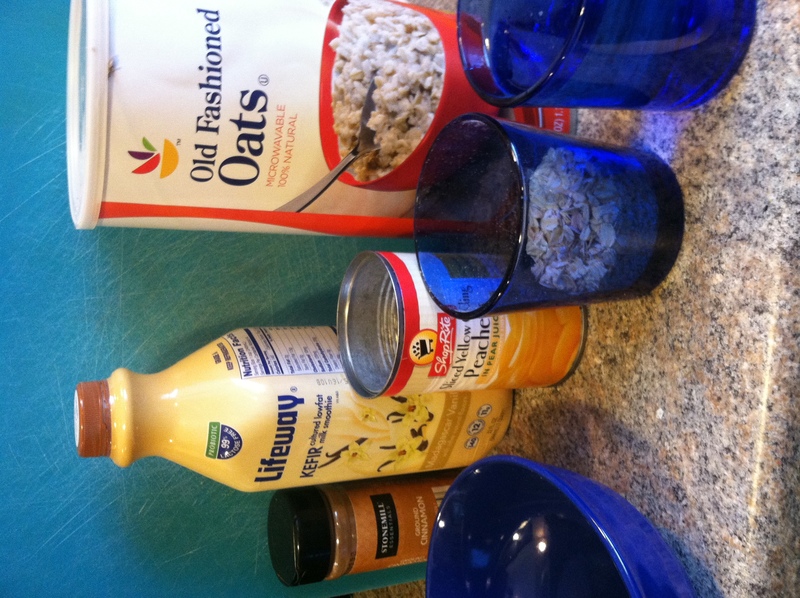 You will get great digestive benefits from both the whole grain oats and fiber as well as the beneficial bacteria. 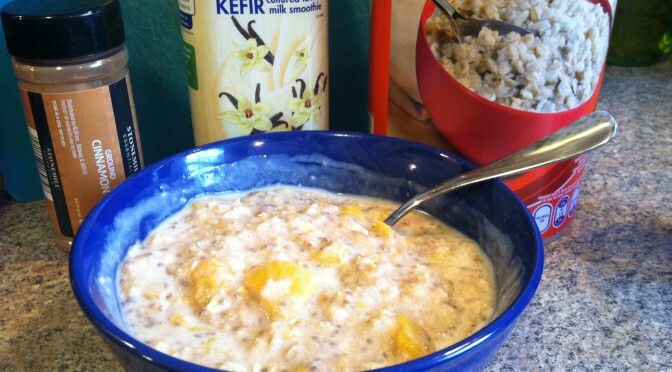 Add more or less kefir to your own tastes based on how sour you like it. If you absolutely must, you can add in some maple syrup or honey, but I like it just plain as is. Enjoy! 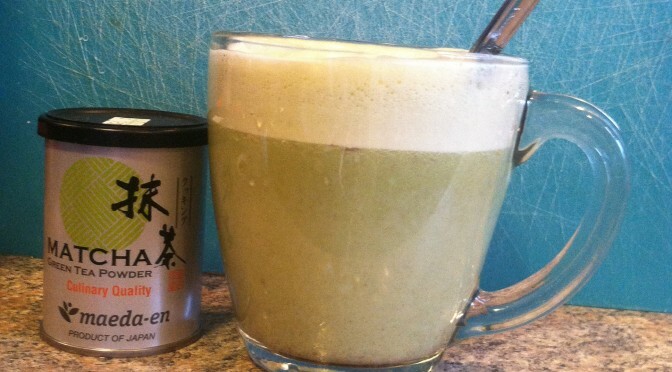 Now, I know matcha powder has been around in culinary circles for a long time, being used in everything from baked goods to ice cream to beverages. And it has been around long before that in Japan as a highly antioxidant-rich drink of choice. 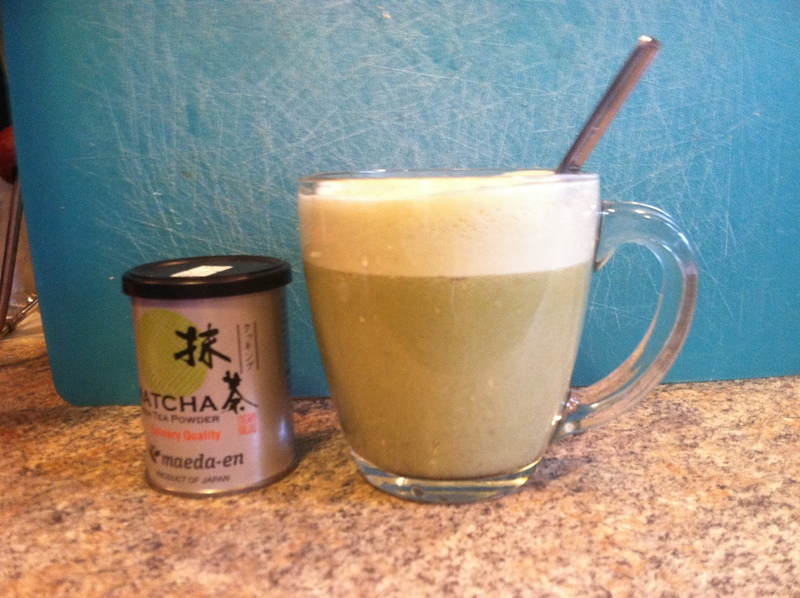 Matcha goes back many centuries in China and Japan, where it was first made as dehydrated and crushed bricks of tea leaves for storage and travel. Zen Bhuddists drank this tea in a ceremony prior to afternoon meditations, and found it enabled them greater clarity and sustained energy unlike anything before. Powdered tea was made in very small batches, such that the expense meant only royalty could enjoy it. However, a new harvesting method soon enabled more efficient processing, and as the price became more affordable matcha became available to the public. By the 16th century, all levels of people took part it drinking tea and tea ceremonies to some extent. To learn more about how to make the perfect cup of matcha green tea, and for a brand review and comparison, check out this site. This recipe is a very simple one, which you could easily make at home, bleary eyed first thing in the morning. Which is great, because that is when I made it! I chose to use vanilla flavored milk, you could also use a vanilla bean or vanilla flavoring, or try something else like mint leaves or peppermint extract. 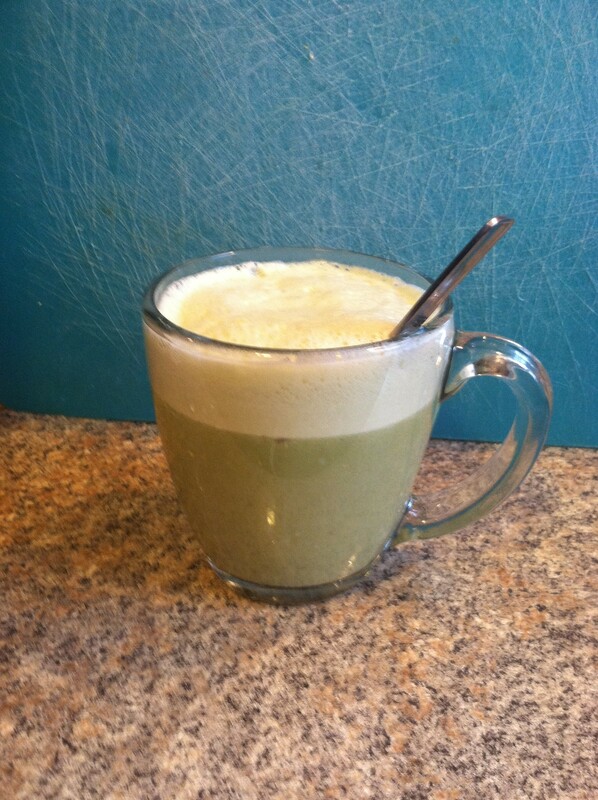 Or you can leave your latte plain and savor the complex flavors of the matcha. 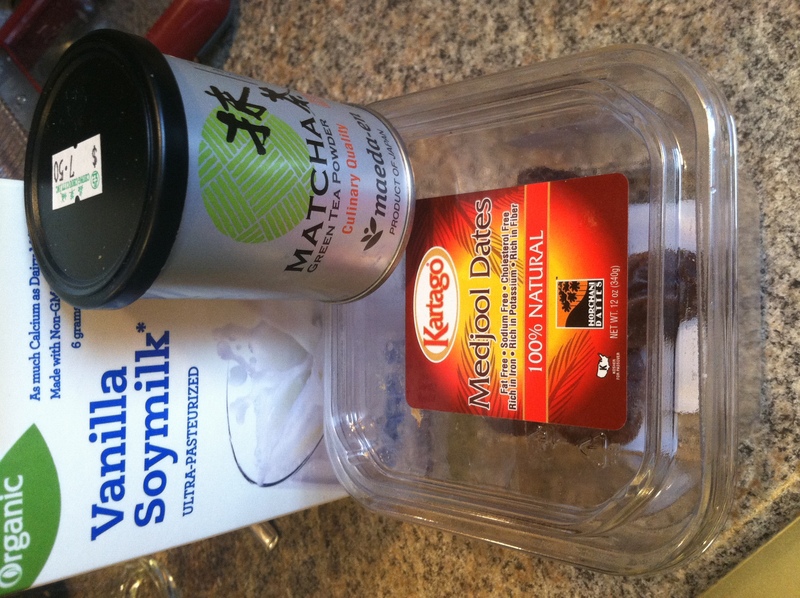 I also used one medjool date as my sweetener, try agave nectar or pure maple syrup for something different. Step 1: Put the water in a small sauce pan with the cut up, pitted date and bring to a boil. This just softens the date in order to make it blend more easily. 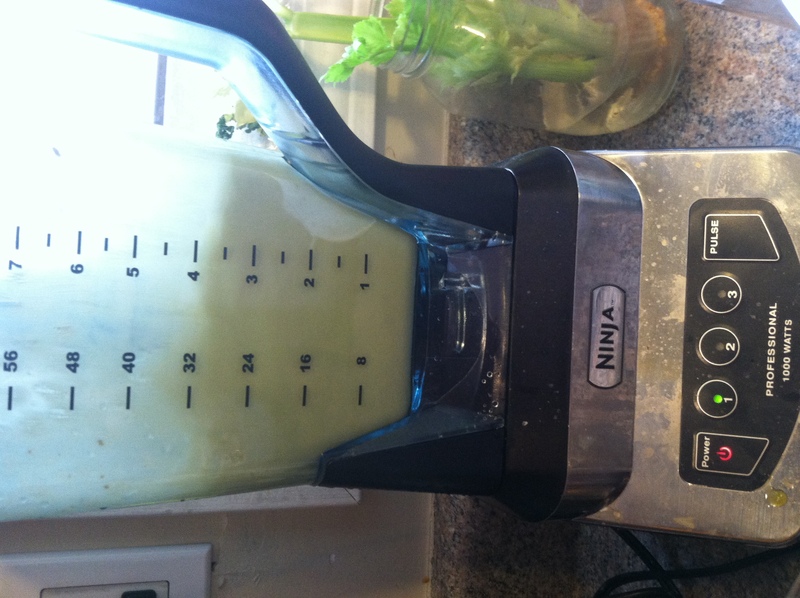 Pour the hot water into the blender and blend on high for 30-45 seconds. Step 2: Add the milk to the sauce pan and bring to a simmer. 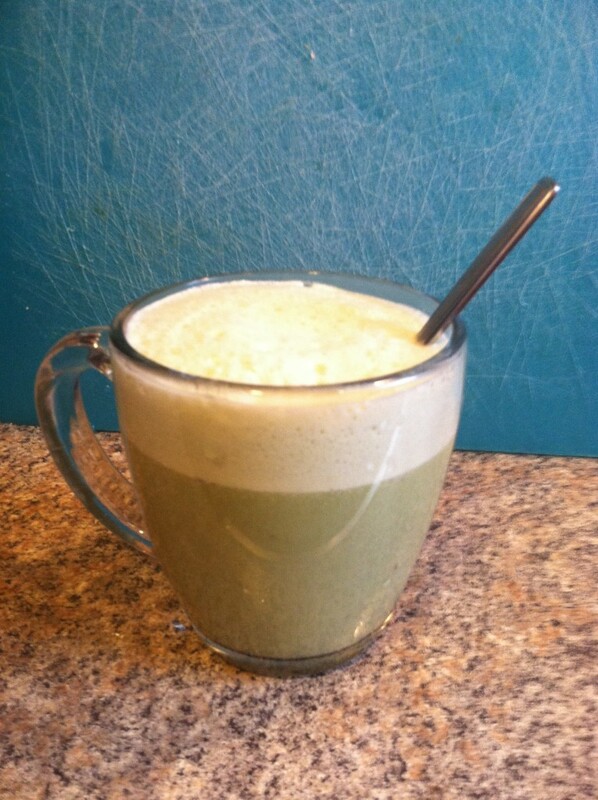 Add the teaspoon of matcha to the blender. 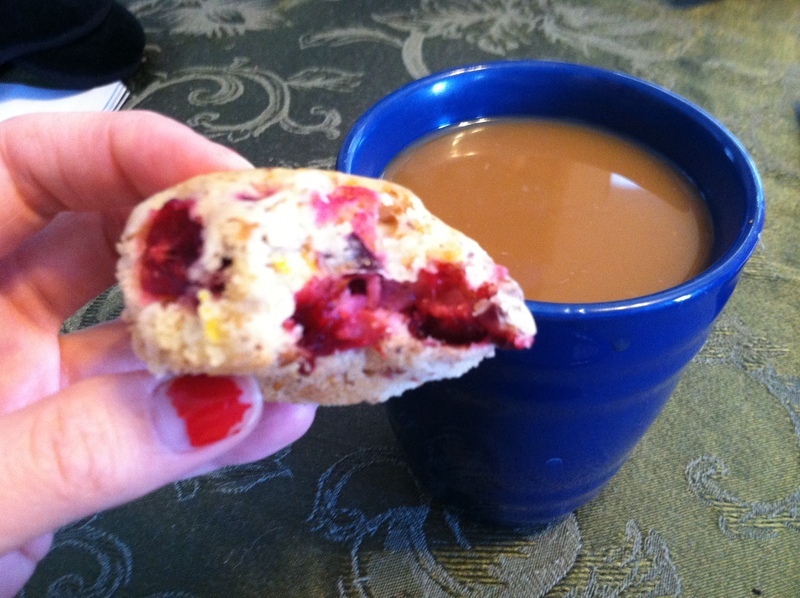 Step 4: Pour into a mug, and enjoy! 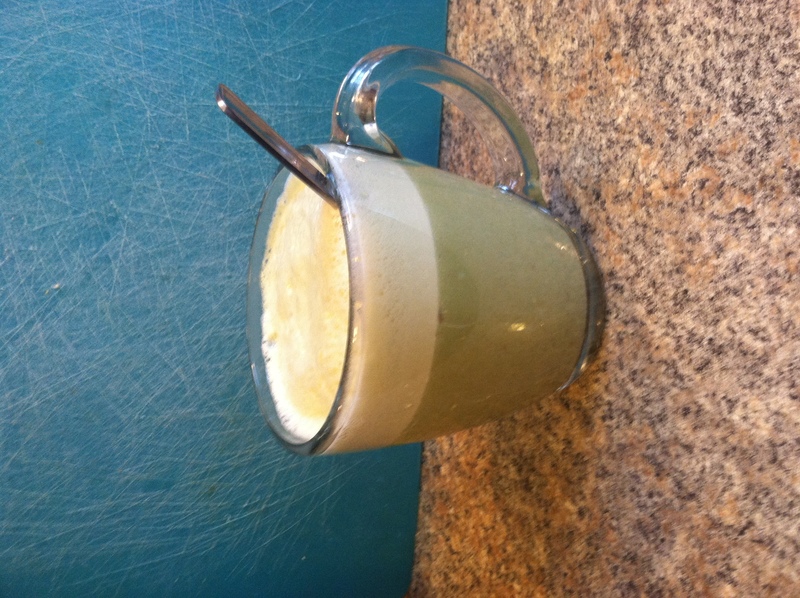 The blender makes a light, bubbly layer on top, and enables the incorporation of the date. 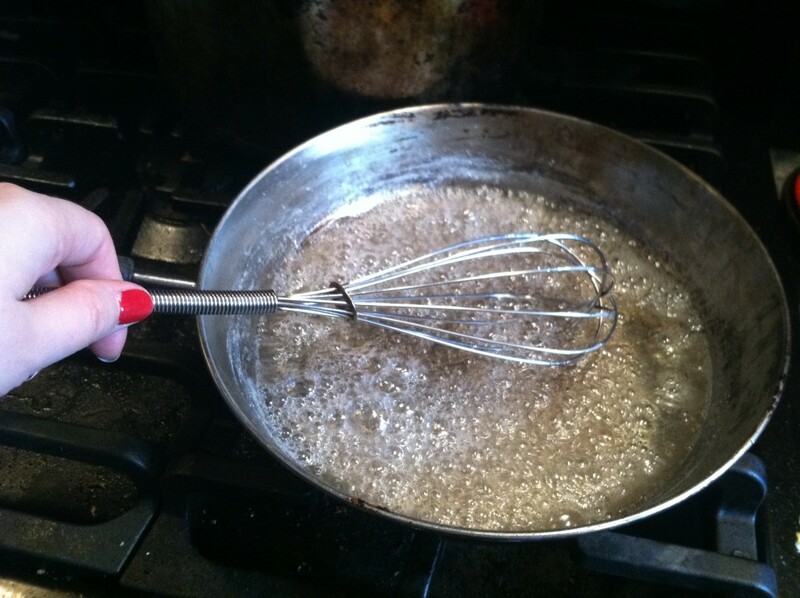 It would be much harder to crush it up yourself, so if you are using a whisk you should probably use a different, liquid sweetener. This is best enjoyed immediately, still steaming from the stove. 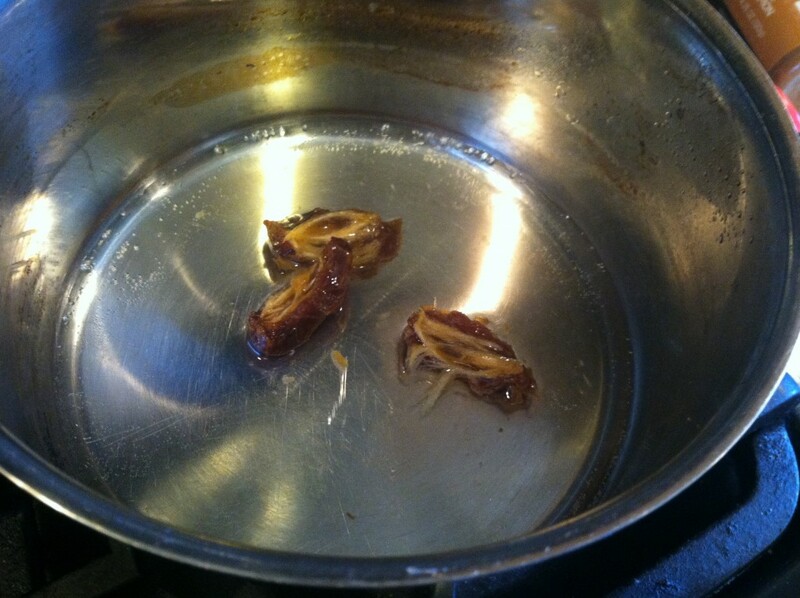 Put the water in a small sauce pan with the cut up, pitted date and bring to a boil. This softens the date in order to make it blend more easily. 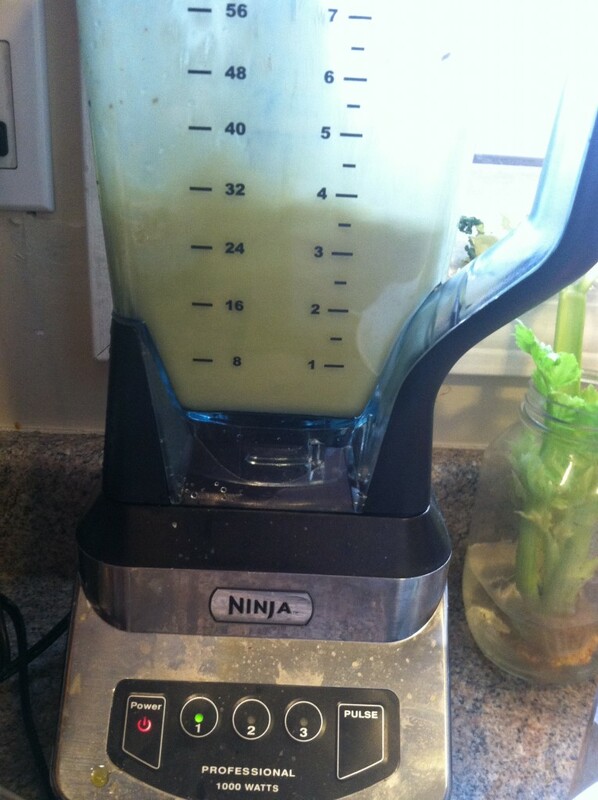 Pour the hot water into the blender and blend on high for 30-45 seconds. Add the milk to the sauce pan and bring to a simmer. 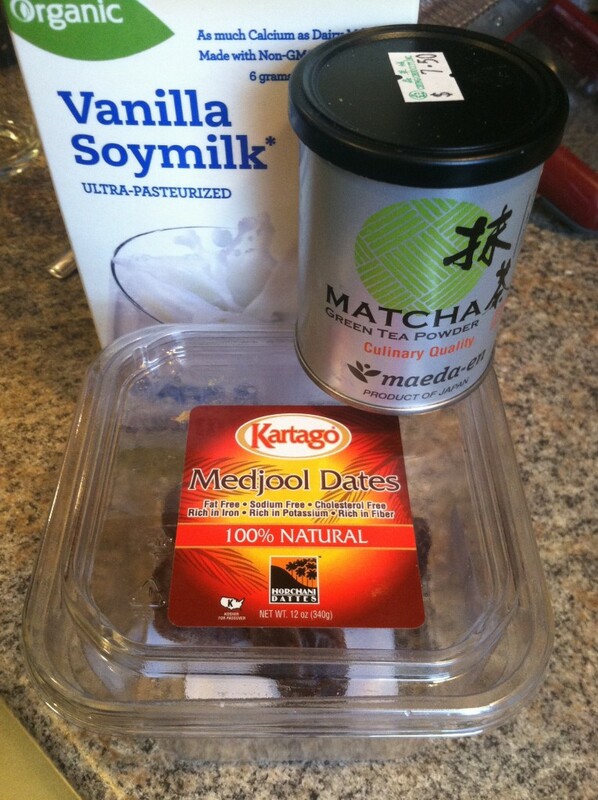 Add the teaspoon of matcha to the blender. 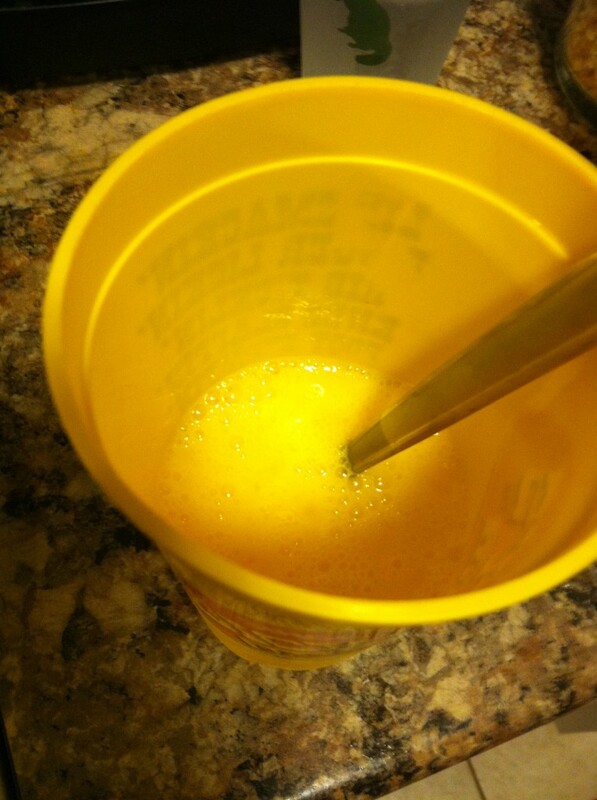 Add the hot milk, and blend together for 30-60 seconds to make it nice and frothy. 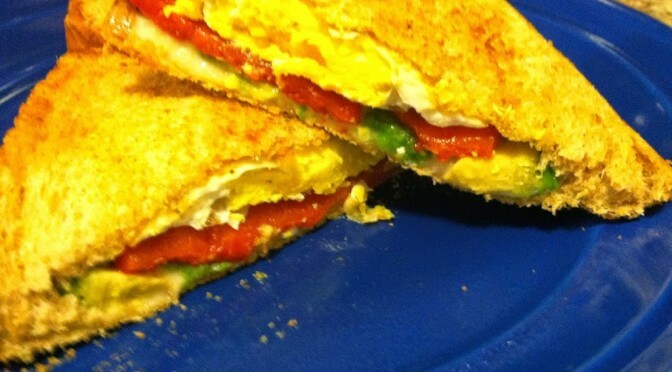 Though this sandwich does involve eggs, I hesitate to call it a “breakfast sandwich” because it would taste amazing any time of day. Like my other recipes with Mediterranean in the title (such as my Mediterranean Meatloaf Muffins, Stuffed Mushroom Caps, Cashew Chicken, Vegetable Panini, or Chicken & Couscous), this recipe uses lots of healthy veggies, mostly bell peppers and avocado. 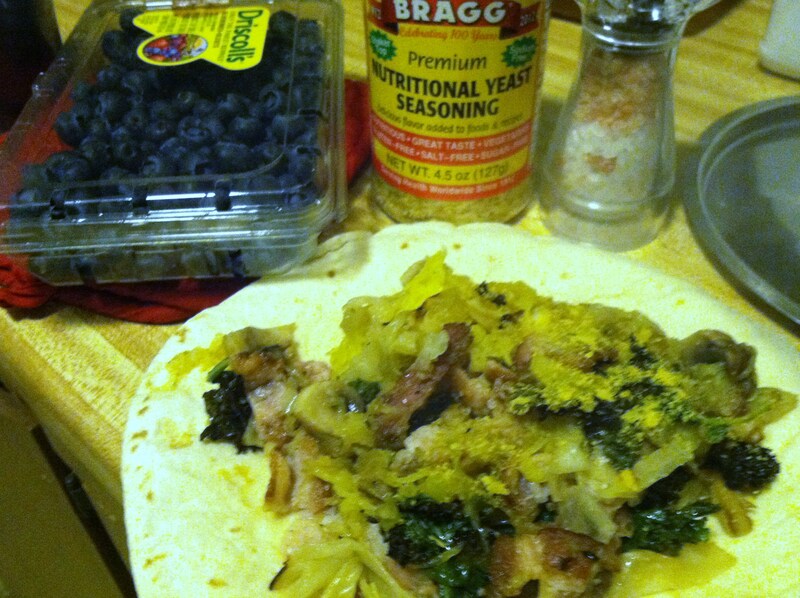 You could easily substitute or add in eggplants, zucchini, any type of olives, greens, or caramelized onions too. Recipe makes 2 large sandwiches. You can also turn these into wraps, or serve in a lettuce leaf, if you are avoiding carbs. Step 1: In a frying pan, heat the olive oil to sizzling. Crack the eggs in, and fry 2-3 minutes, until whites are cooked. 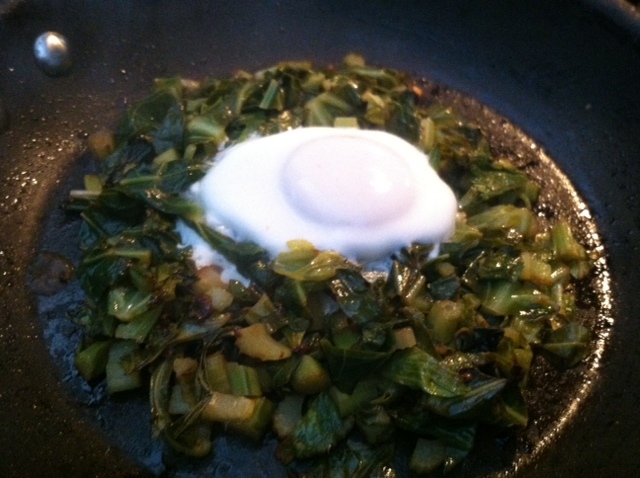 Step 2: Flip the egg once all the whites have cooked. Take the roasted peppers and add those to the pan. The longer you cook the egg, the more solid and less runny the yolks become. 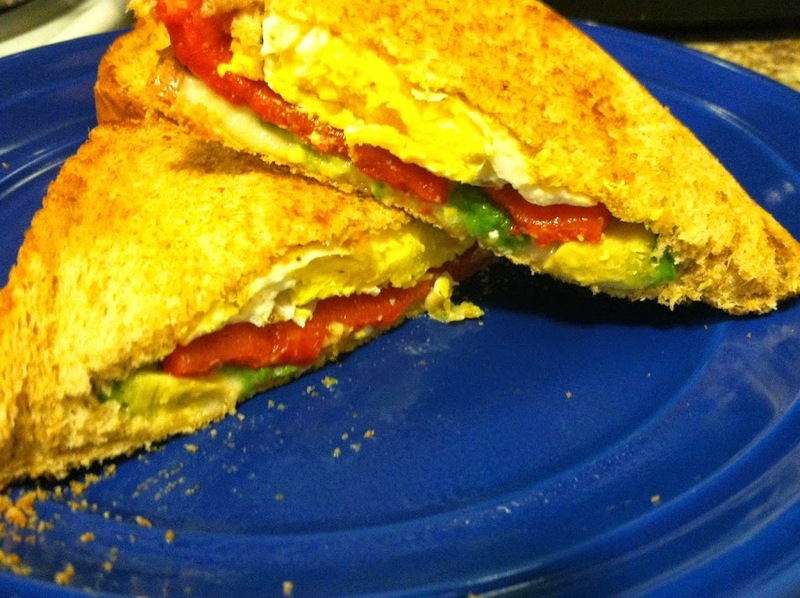 Step 3: Once the eggs are cooked and peppers are heated through, place one egg and 1-2 pieces of pepper onto each of 2 slices of bread. 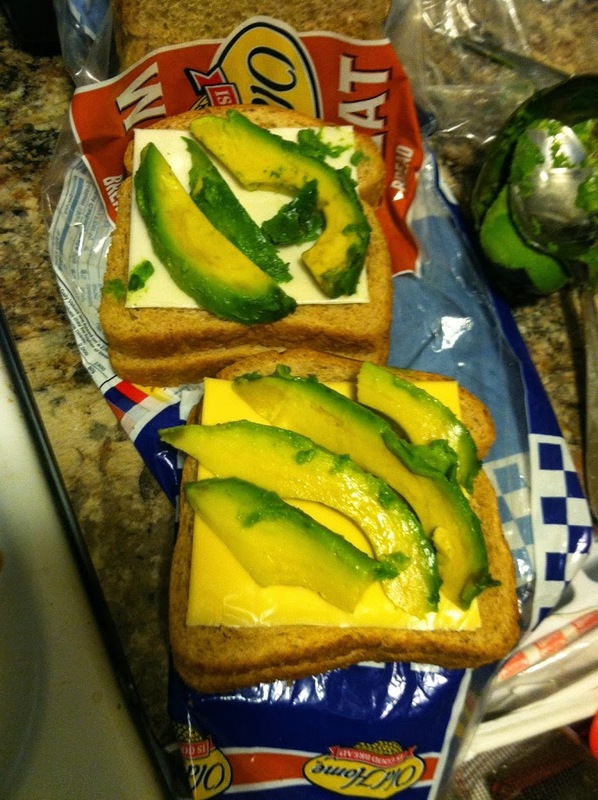 Step 4: On two other slices of bread, add the cheese slice and half of the avocado. 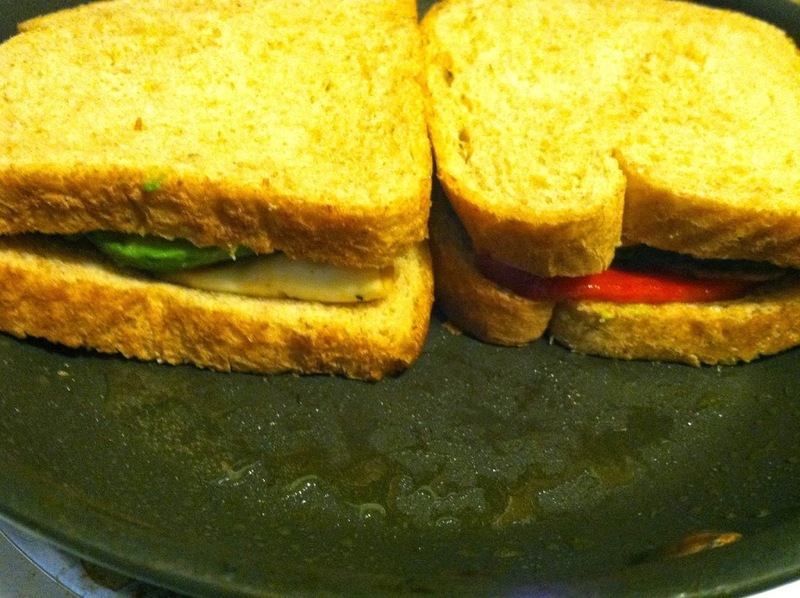 Press the two halves of each sandwich together. Step 5: If you need to, add 1 more tbsp olive oil. 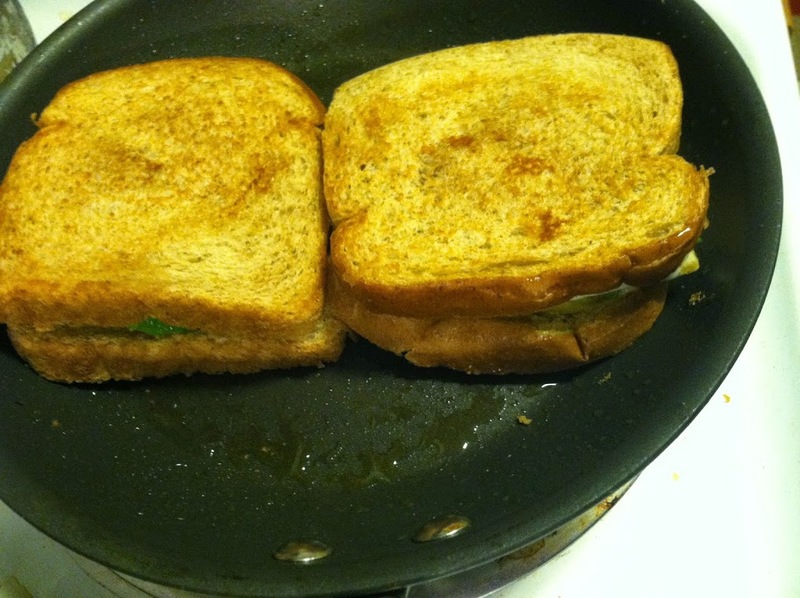 Put the sandwiches into the pan, and cook for 4-5 minutes on both sides, until nice and browned and the cheese is melty. Slice the sandwiches in half, and enjoy! One of the hardest hurdles when transitioning to healthier eating, at least for the majority of people, is eating leafy greens. We all know that leafy greens are the healthiest things out there. They contain tons of vitamins, minerals, and antioxidants. They cost us next to zero calories to consume. Greens are full of digestible and indigestible fiber to keep your digestive system strong and healthy. So why do they taste so bad? Foods which to us taste bitter have an array of compounds in them that naturally protect the delicate leaves from insects who would love to snack at the salad bar of nature. It is these compounds which tend to be so beneficial for our health. Unfortunately, humans usually dislike the bitter taste at first. Fortunately, you can re-train your taste buds to enjoy bitter, and there are many cooking techniques to make bitter foods more palatable. Adding small amounts of high quality fat like olive oil, or a sour taste like vinegar or lemon juice, can help temper the bitterness of greens. Sea salt or other salty sources like hard cheeses also helps mask the harsher flavors and draw out the sweeter notes. My recipe for simply sauteed power greens uses these techniques to create a delicious side dish that even most greens-haters can enjoy. In this simple breakfast recipe, I combine those techniques with fresh eggs for a superstar breakfast that is ready in under 10 minutes, packed with vitamins and nutrients and protein, and will keep you happy and full all morning long. Enjoy over some brown rice or with whole wheat toast for a well rounded meal. Step 2: Mix the greens, they should be bright and slightly wilted now. 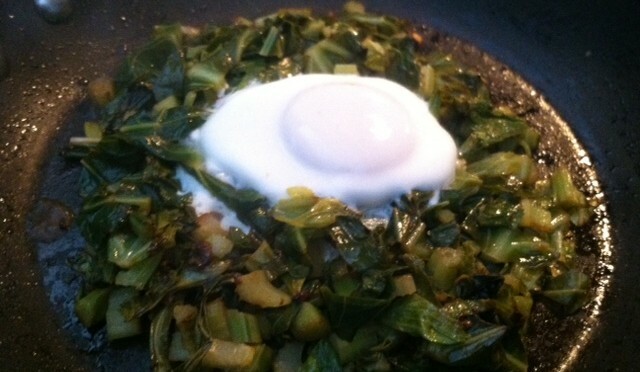 Use a spoon or spatula to make a small indent in the pile of greens, and crack an egg into the hole. Cover again, and steam for another 5-7 minutes. The longer you cook the egg, the more well-done the yolk becomes. 5-7 minutes will leave it slightly runny, as in above photo. Once the egg is cooked to your desired done-ness, remove to a plate and serve! 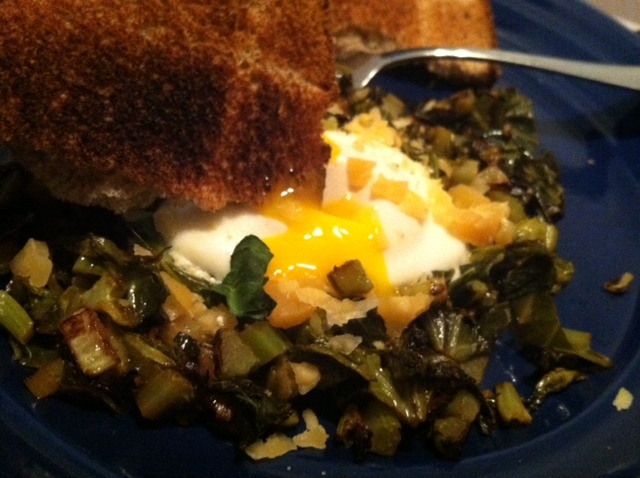 I sprinkled a little hard cheese over the egg, which gives it the perfect salty balance to the tart & bitter greens. You can also use sea salt for the same effect. 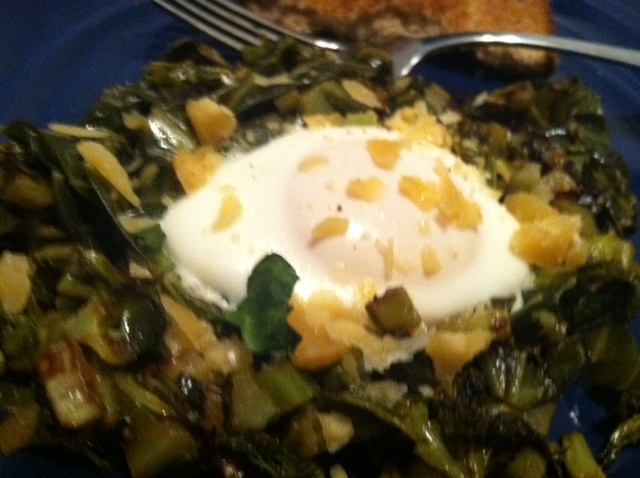 You can easily increase this recipe to feed several more people, simply increase the volume of greens and crack in one to two eggs per person. This is delightful plain with toast, or you could serve with black beans, salsa, hot sauce, relish… whatever floats your culinary boat. How many of you start your day off with a nice hot cup of coffee? I know my hand is raised! Coffee in the morning is as natural as breathing at this point, and is one vice I will never give up. Yes, I know that caffeine is a drug, and it is possible to live without coffee, but honestly, … why? Kidding… sort of. One of several items in my house that has come under scrutiny lately though, is my coffee creamer. I usually buy the store version of whatever flavor sounds good at the time or is on sale (french vanilla, hazelnut, mocha, peppermint…). But if you check out the ingredients list, you will find things like: high fructose corn syrup, palm oil, sugar, carrageenan, and tons of other substances I can’t spell or pronounce (and I’m a scientist). Do I really want a cup or so of these things every week? Do I want polysorbitol whatever building up in my body? Do I know what the long-term effects of all these chemistry experiments (not to mention the cocktails of pesticides & hormones found in CAFO cows’ milk) are going to be? 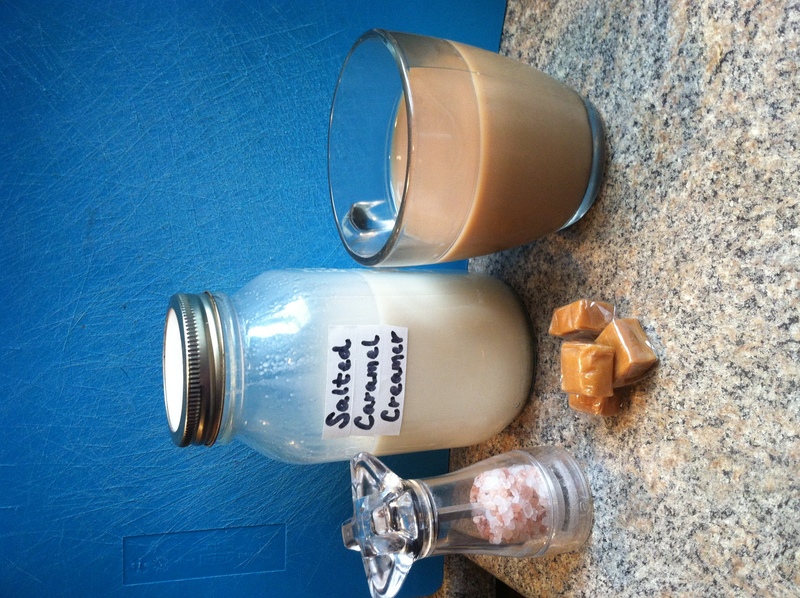 Stop using creamer & drink black coffee? HAHAHAHAHAHA… nope. Make it myself? Challenge accepted. I started with whole, organic milk*. 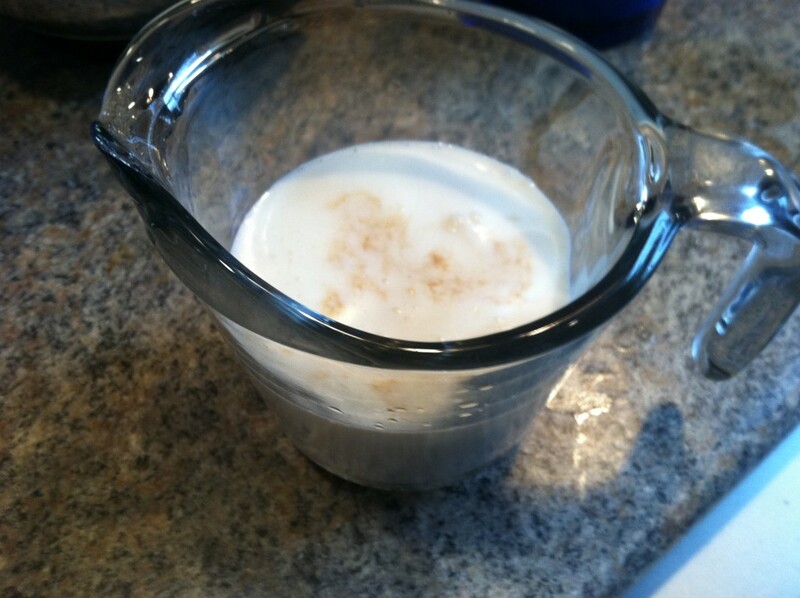 Then I threw in some sugar (it has to be palatable, otherwise I could just use plain milk. But my palate is still just a little too young to fully appreciate the “coffee-ness” of coffee). A dash of vanilla and salt to draw out all the flavor, and we have a winner! *Note: This is of course not a recipe for those who are lactose intolerant or trying to avoid dairy. 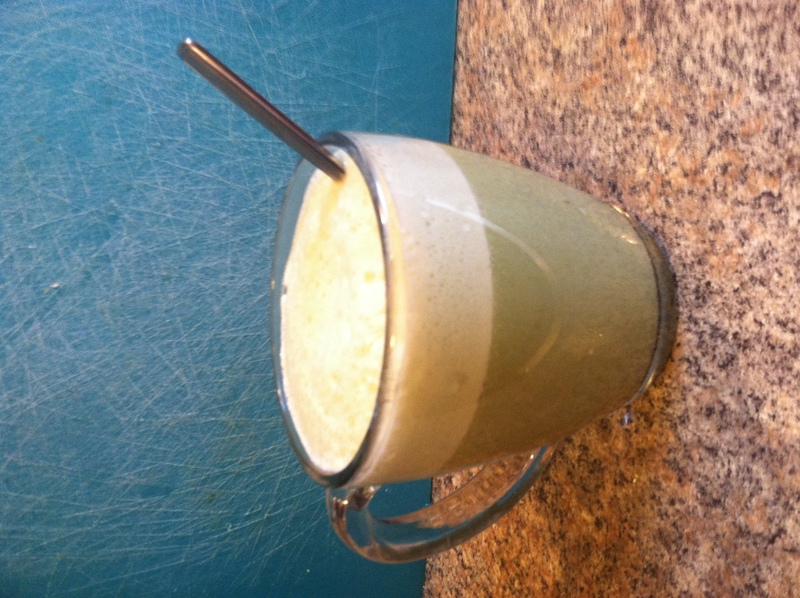 I am experimenting with various non-dairy milks too, and if I create a winning recipe I will share it! This took me approximately ten minutes, basically just long enough to caramelize the sugar. Then just mix it all up in a large jar (I use mason jars, but you could use any container, even an empty container from previous creamer) and you’re good to go for a few weeks. With a waaaay shorter, and completely pronounceable, ingredients list. Step 1: Add the sugar and water to a pan. Slowly bring it to just a simmer, and stir constantly for about 10 minutes. You don’t want the sugar to burn! 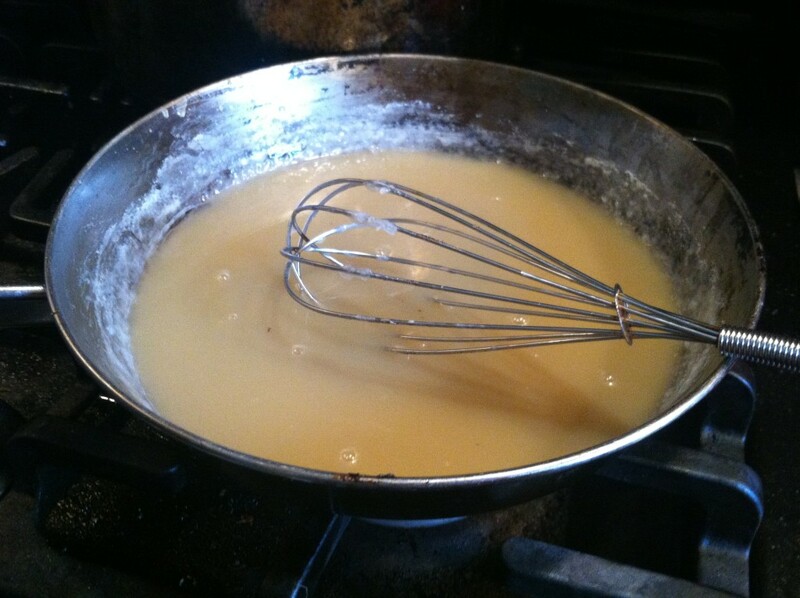 Step 2: As the sugar caramelizes, it will become thicker and opaque. Measure out the cream and vanilla, and slowly pour it into the pan while mixing constantly. 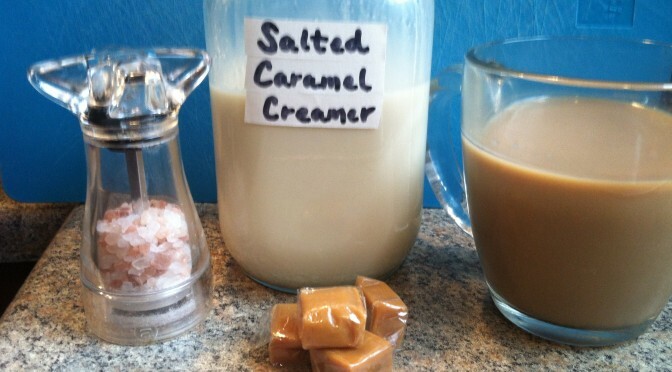 This creates a lovely caramel-like sauce. 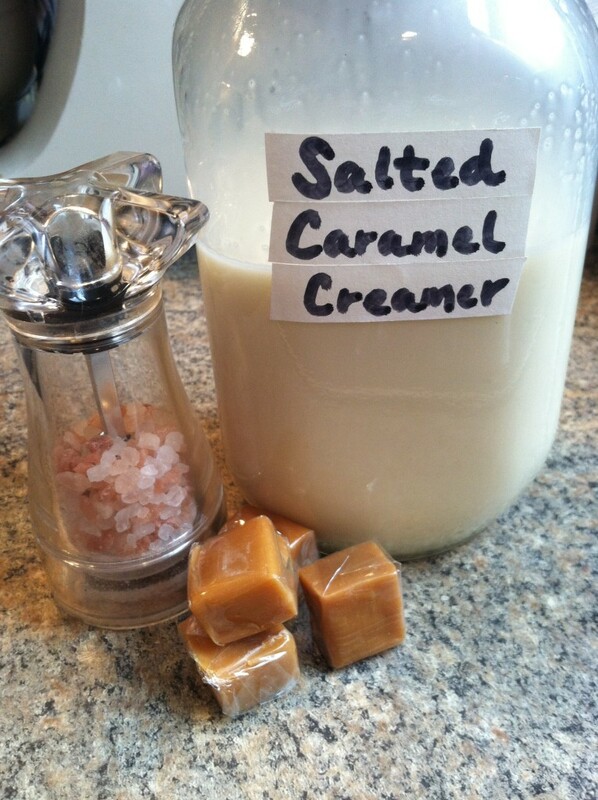 Step 3: Pour the caramel into your jar and let it cool. 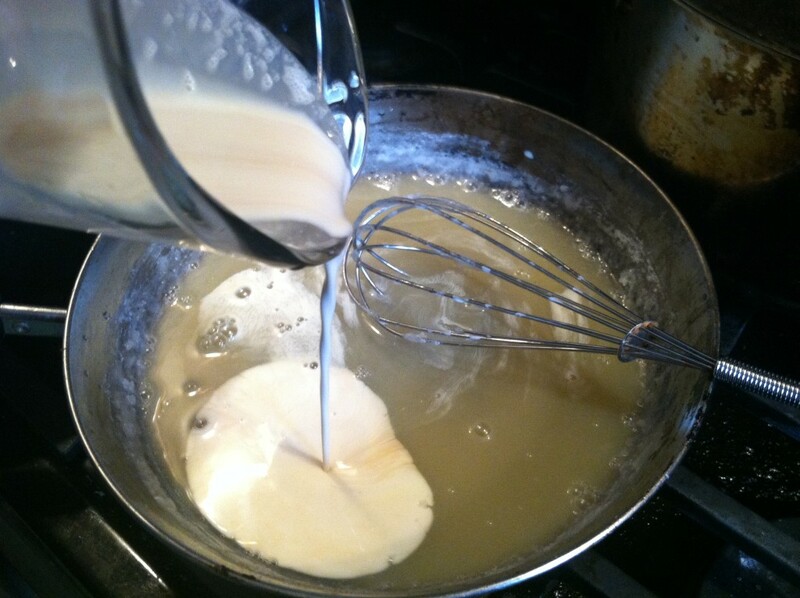 If there is some lingering sugar in the pan, either add the milk and whisk until dissolved, or add a few tbsp water and whisk to dissolve. Pour the milk into the bottle as well. Step 4: Add in a few tsp of salt, to taste, and shake it all up. Done! 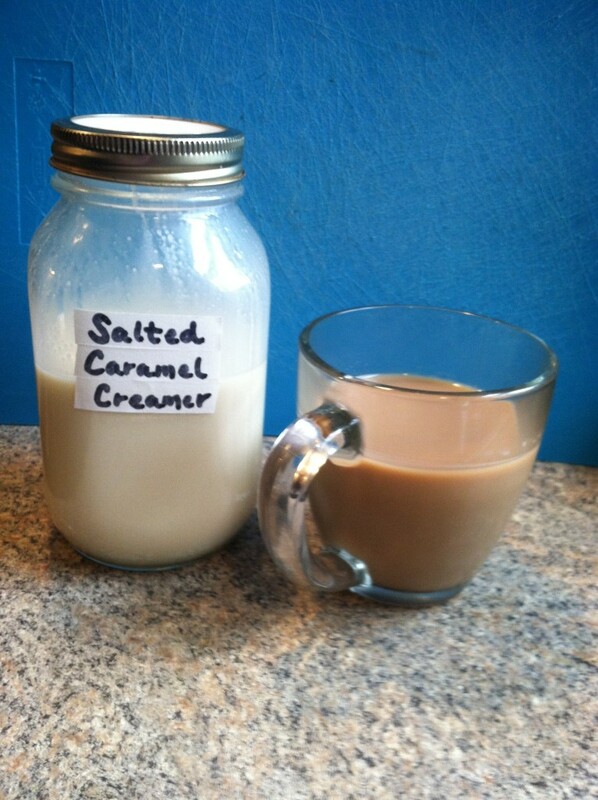 Enjoy your healthy, natural creamer! I will definitely be experimenting with more flavors in the future too. 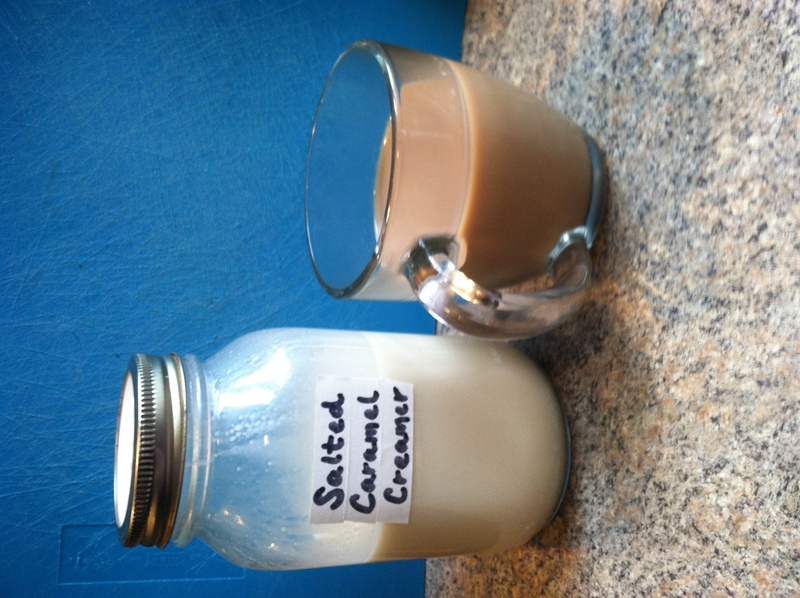 Anyone have a favorite creamer recipe? 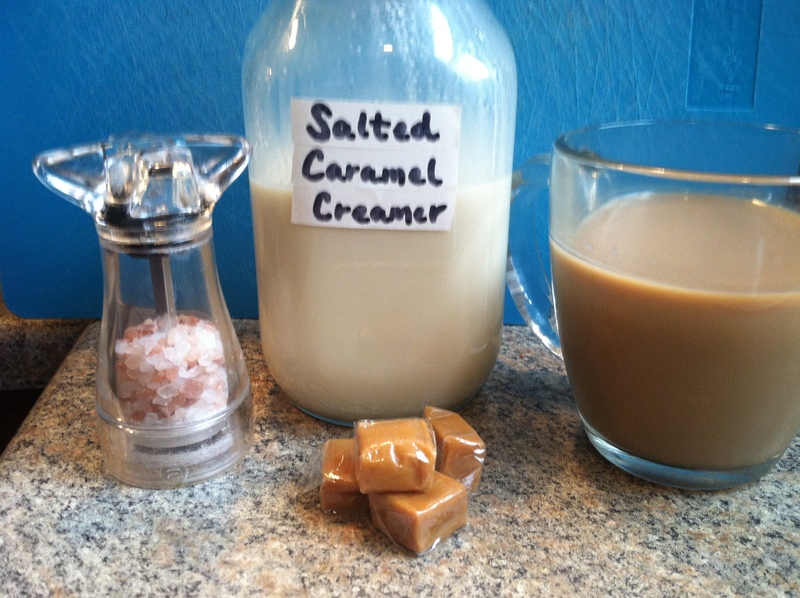 Have you ever tried making your own creamer, or would you consider it? One of the best things about fall is all the wonderful scents and flavors that come into season. Of course the powerhouse is Pumpkin Spice, undisputed king of the fall flavors. But I’m more of a fan of the littler-known seasonal delights, like nutmeg, fall squash, citrus, and cranberries. 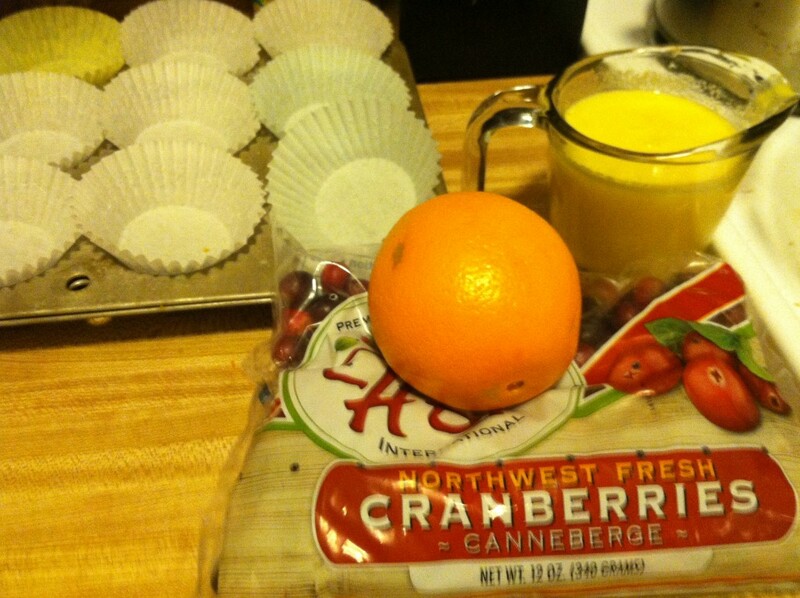 And of course, cranberries & oranges go together like peanut butter and jelly in the fall. 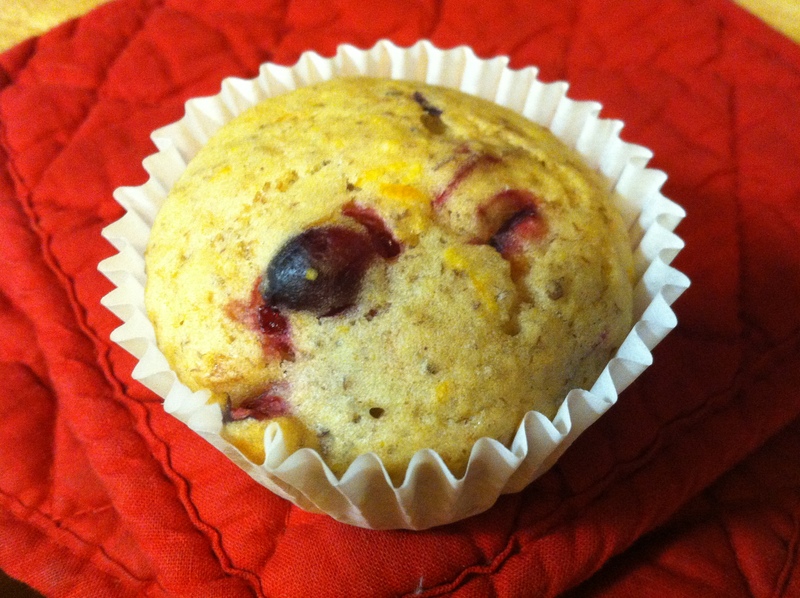 Cranberry & orange tastes great on chicken, pork, or fish, they go together in relish for your Thanksgiving turkey, or baked into bread, cookies, and of course muffins! 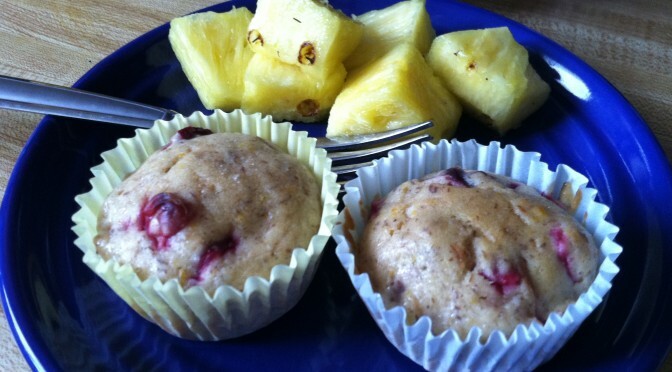 These muffins are light and moist, with a lovely sweet tang from the juice and the berries. Perfect for snacking, quick breakfasts, or midday snacks. These muffins can also be frozen in single layers and popped into baggies for an on-the-go treat later. 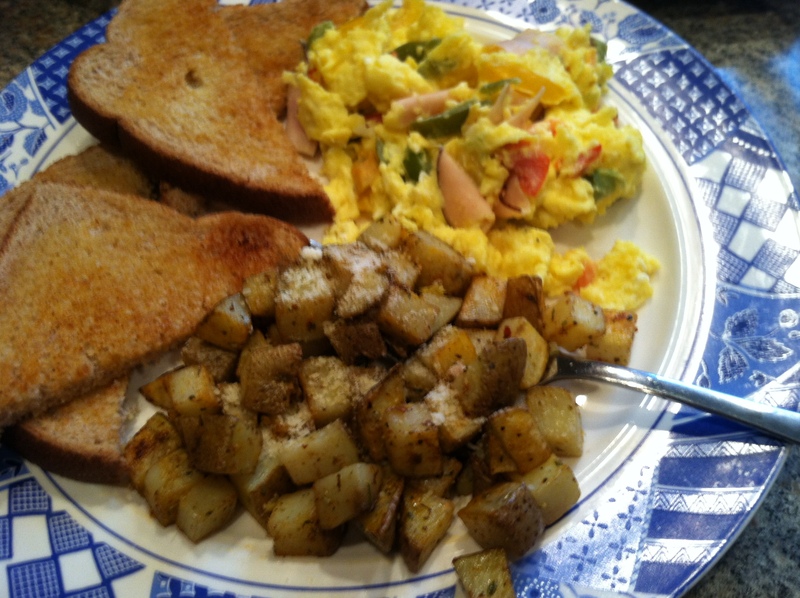 Simply microwave or pop in a toaster oven for a warm fluffy breakfast. Step 1: In a large bowl, mix together all the dry ingredients (flour, sugar, baking powder & soda, ) and in another bowl mix all the wet ingredients (egg, oil, juice). You can juice an actual orange for the juice if you have the ability. 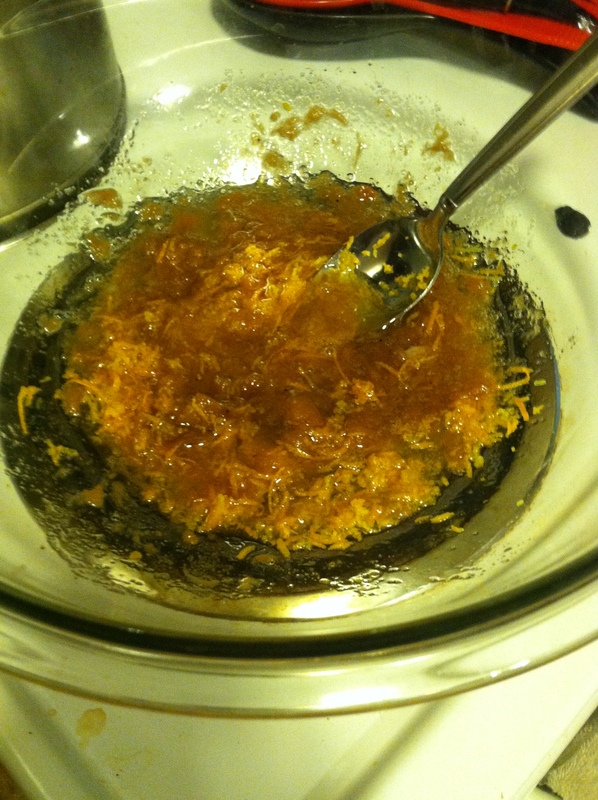 Step 2: Grate the peel of one orange, and mix it into the wet ingredients. Mix the wet into the dry ingredients, and fold together until moist. Add in the cranberries. If you’re using frozen cranberries, thaw and drain them first so your batter doesn’t get too watery. Step 3: Either spray muffin tins with cooking oil or line them with muffin papers. Pour about 1/3 cup of batter into each opening. Bake at 350 F for 25-30 minutes, until the muffins are browning on the top and a toothpick inserted in the middle comes out clean. 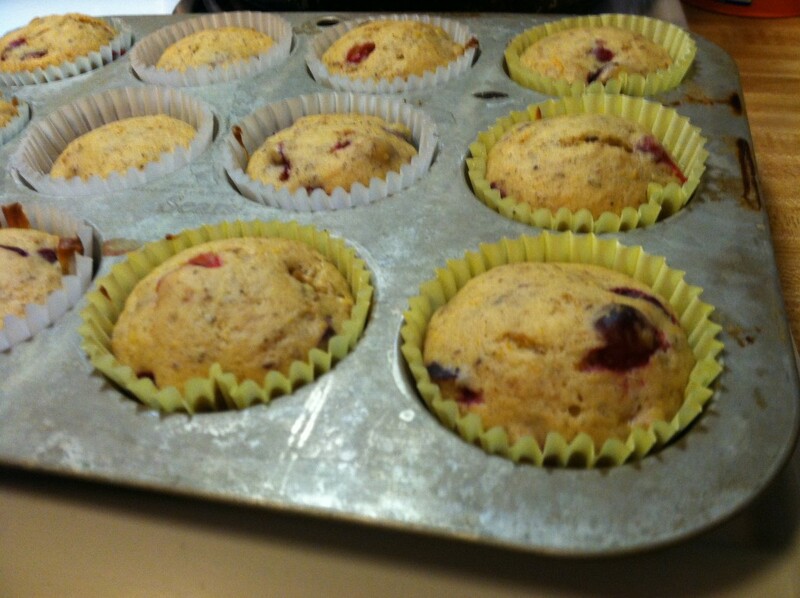 Remove your lovely muffins and let them cool enough to take out of the pan. Then enjoy at least one (or three, I won’t tell!) while they’re still warm. MMMM MMM! 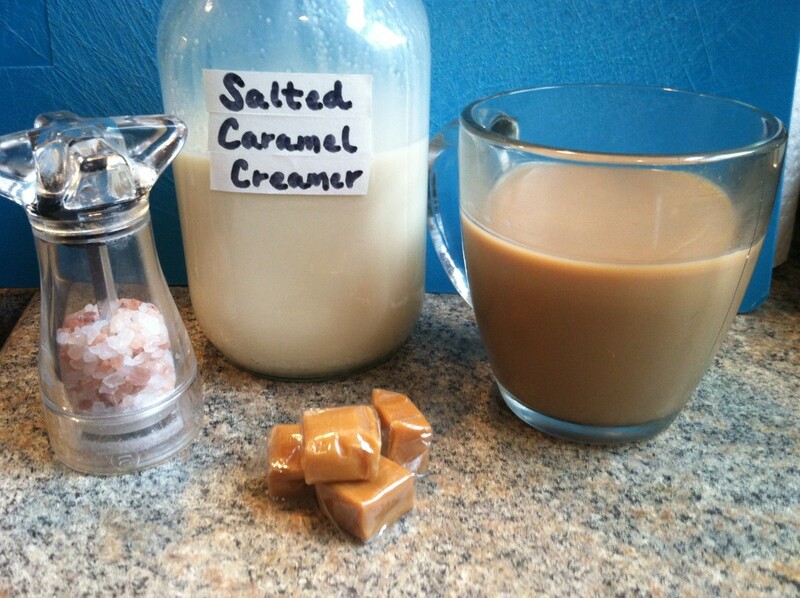 So delicious with coffee, hot tea, or some fresh hot chocolate. In a large bowl, mix together all the dry ingredients (flour, sugar, baking powder & soda, ) and in another bowl mix all the wet ingredients (egg, oil, juice). You can juice an actual orange for the juice if you have the ability. Grate the peel of one orange, and mix it into the wet ingredients. 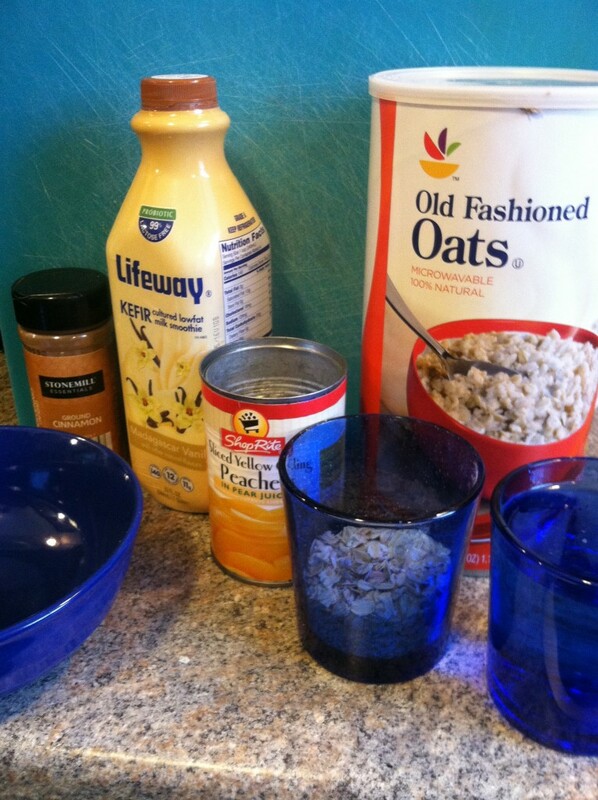 Mix the wet into the dry ingredients, and fold together until moist. Add in the cranberries. 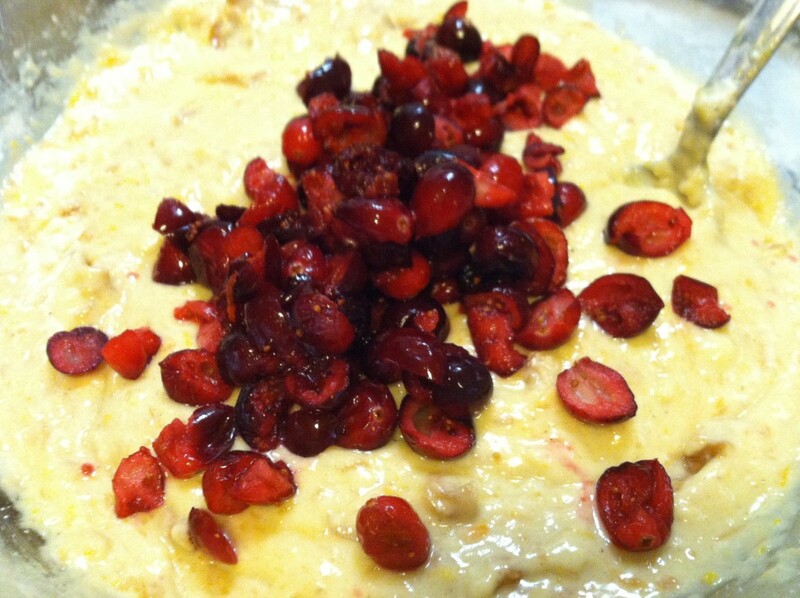 If you're using frozen cranberries, thaw and drain them first so your batter doesn't get too watery. 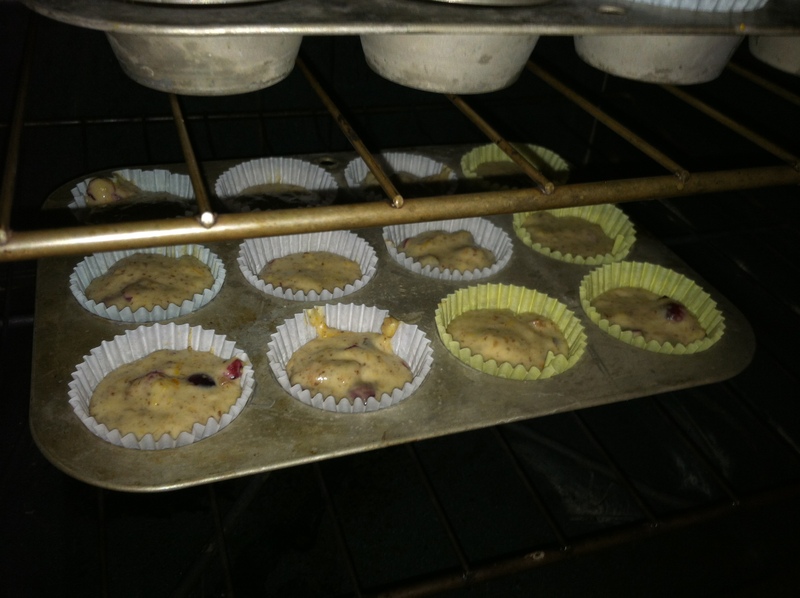 Either spray muffin tins with cooking oil or line them with muffin papers. Pour about 1/3 cup of batter into each opening. Bake at 350 F for 25-30 minutes, until the muffins are browning on the top and a toothpick inserted in the middle comes out clean. For those who are unsure of trying new “health craze foods” like kale or spaghetti squash, let me assure you, they are SUPER easy to cook and incorporate into your repertoire. By now the interwebs are bursting at the seams with kale related recipes, so that’s a good place to start. You can pretty much use it anywhere you would use lettuce or spinach, sometimes coating in oil or steaming first since it is much more hardy in texture. As for spaghetti squash, this baby is coming into its own in the fall. I have written before about my “spaghetti” and turkey meatballs, where you use the strands of squash just like noodles for the same texture but way more filling fiber and nutritious vitamins than wheat pasta. You can try starting this trick by using half-and-half squash and pasta, then working up from there according to taste. Cooking a squash is as easy as 1-2-3 with a microwave. Simply cut the squash in half, and lay cut-side down on a plate in the microwave. Add about a 1/2 inch of water, and microwave 5 minutes. Flip the squash over, and microwave again. If it is soft when poked with a fork, you’re good to go, otherwise continue flipping and microwaving a few minutes at a time. When it is done, you can take a fork and drag it down the sides, pulling out the flesh in spaghetti-like strings. You can of course also bake it cut-side down in a shallow oven-safe pan with a little water, 45-60 minutes or until softened. These preparation methods work well for pretty much all types of winter squash as well, from spaghetti to acorn to butternut. 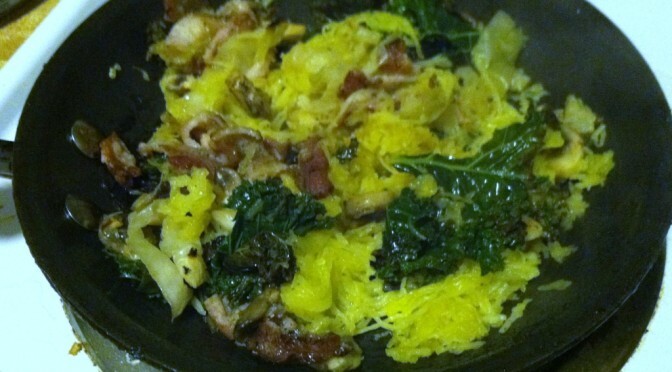 For this recipe, spaghetti squash, kale, and other yummy veggies come together in a warming, filling fall favorite. 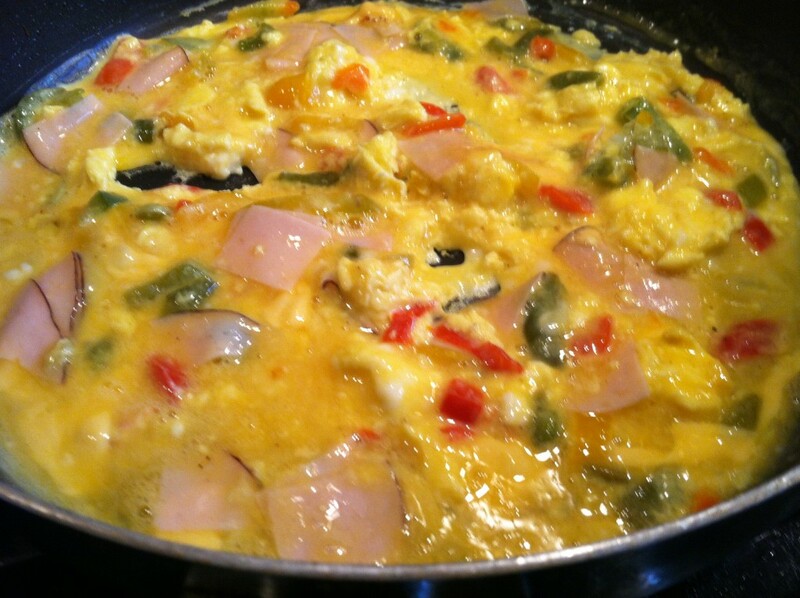 You can make this in a frying pan or in the oven, and once made can be stirred into omelets, served alone or with sauce, or like I did wrapped into a burrito! Step 1: In a frying pan, add the onions and bacon if using. (Otherwise, cook onions in olive oil). 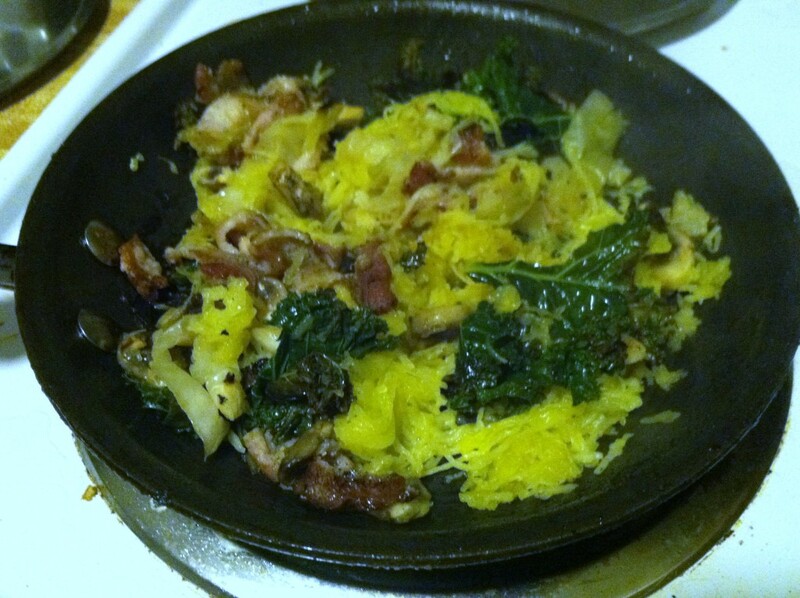 Cook 1 minute, then add the mushrooms and kale, and flip the bacon. Cook, stirring, about 5-7 minutes. Then add in the spaghetti squash. Cook until everything is heated through. Step 2: Now you can enjoy as is, add some sauce, scramble some eggs into it for a lovely omelet, or wrap it up into a burrito! 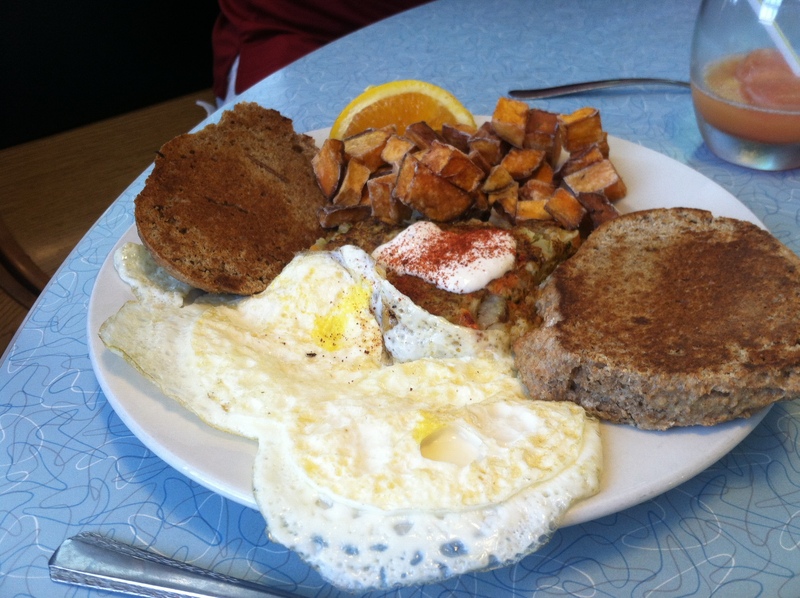 In the heart of Middletown, Connecticut, just off Route 9, sits a classic metal diner. The type of train-car shaped metal diner that brings to mind the “good old days”, Route 66, and other memories of a bygone era. 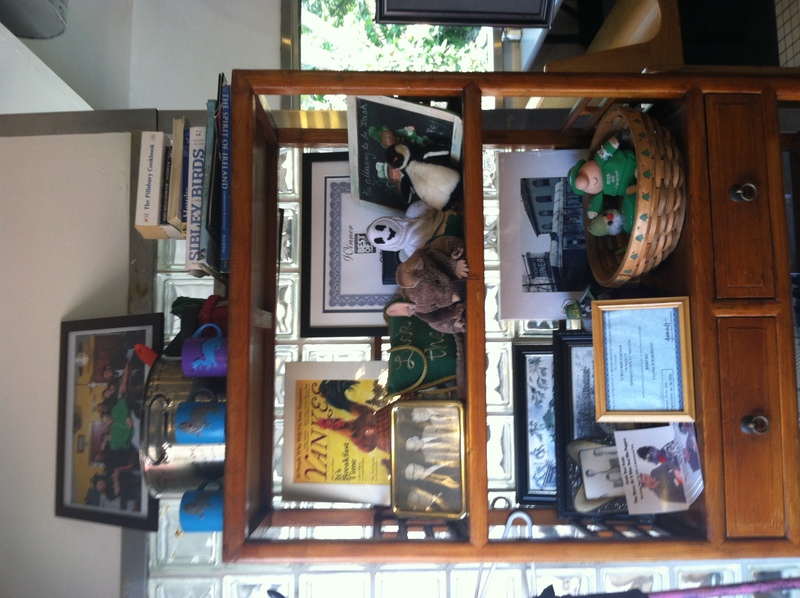 This is O’Rourke’s Diner. 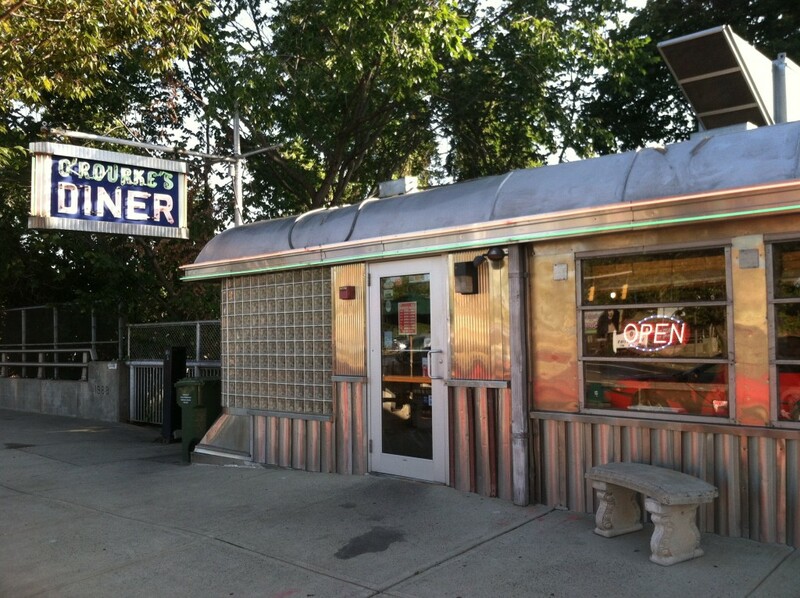 1941 – Uncle John J. O’Rourke, a veteran of Jack’s Lunch, purchases the old wooden Dunn’s Diner. 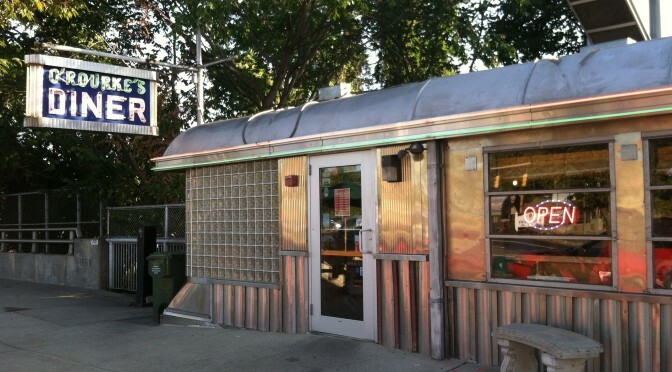 1946 – Uncle John replaces the diner with a brand new sparkling Mountain View diner to accommodate the growing crowds. 1966 – As a high school honors student, Brian works at the diner up to 40 hours per week, in addition to delivering newspapers. 1977 – Uncle John retires. Brian O’Rourke and his cousin, John Sweeney O’Rourke buy the diner. Brian’s culinary talents emerge in the form of wonderful soups like Irish stew and roasted plum tomato. 1985 – Brian buys out his cousin to “take the diner to the next level.” He uses his experiences throughout the ’80s in the kitchens of New Orleans, Barttra (Ireland), and the Caribbean to reinvent the omelet. 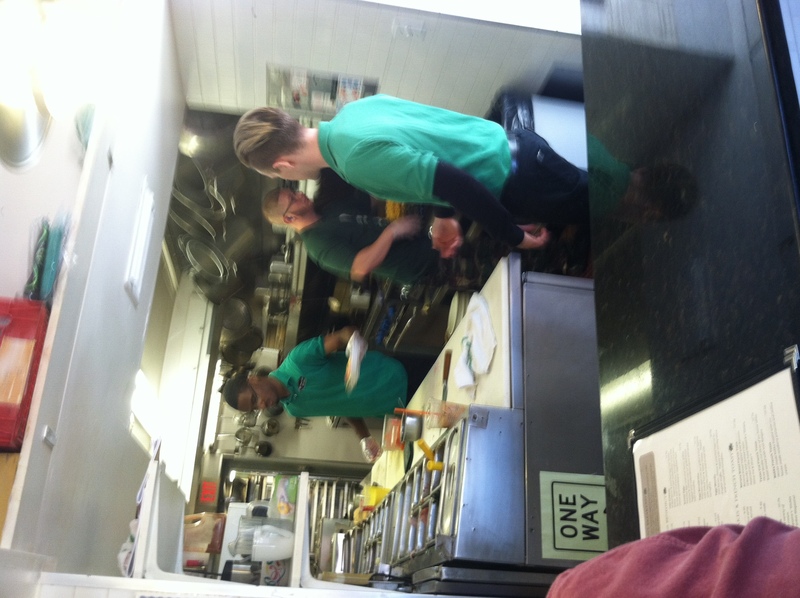 This is the beginning of O’Rourke’s Diner as we know it – a cross-section of humanity with amazing culinary artistry! 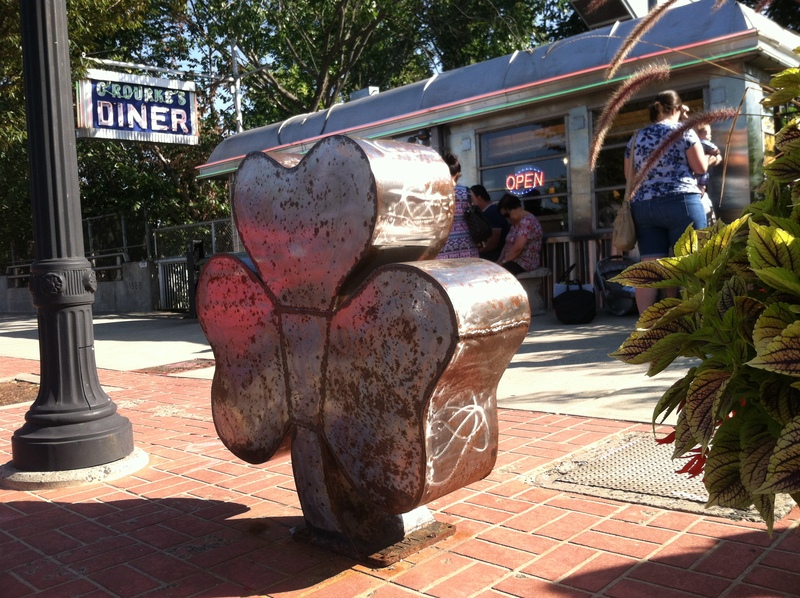 August 31, 2006 – O’Rourke’s Diner is decimated by fire. 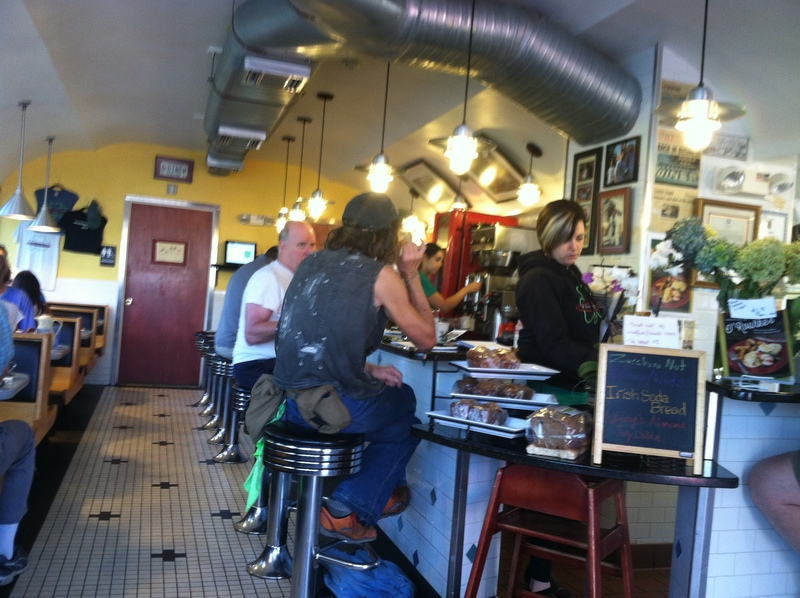 The interior of the new/old diner is cozy yet not claustrophobic. 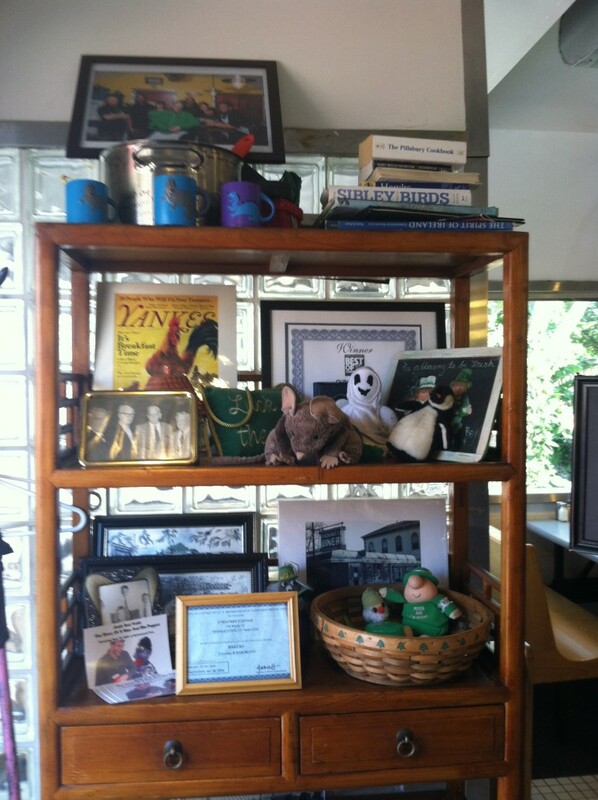 There is a lovely bookshelf just inside the entry way containing an eclectic mix of mismatched awards, family photos, knickknacks, books, and other paraphernalia. A wrap-around bar seating circles the kitchen area, welcoming locals to sit down, have a cup of coffee, and chat with the waiter, waitresses, and hard-working chefs. When we ask the staff for favorites and suggestions, of course they say it’s all good. Every food place usually does. But of course, since they have been seen on Diners, Drive-Ins, and Dives, plan on ordering at least one of those items recommended by the great Guy Fieri. When we are told about Chef Brian and how he took the place over and totally revamped the menu, and that not only does he have a “Chef Brian’s Special of the Day” but that he is in the building this morning, we know at least one of us is definitely ordering that. So that left two more people to order. After a little discussion, and an evaluation of what people were in the mood for, final decisions were made and the orders placed. 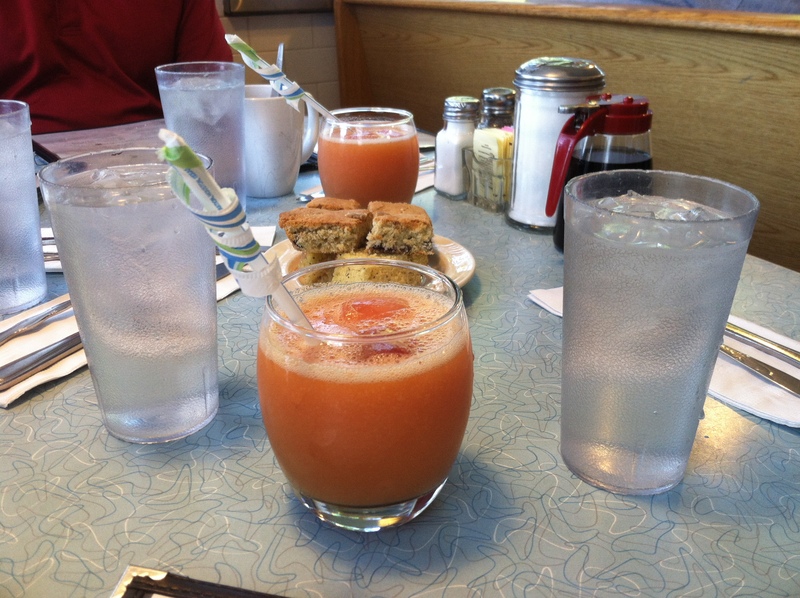 First up, we had to try their fruit juice of the day. It was a mango-pineapple juice, with frozen cubes of mango and cantaloupe to keep it chilled instead of ice to water it down. All of their breakfast smoothies and juices are made fresh each morning with usually local, seasonal fruit. They come in cute hand-held-sized cups with decorative straws. I really appreciate the small details. Next up, we had to try the “Leprechaun Bites”. According to their menu: “Every morning the little leprechauns in the kitchen start the day off by baking a variety of goodies. Leprechaun bites are an ever-changing assortment of daily sweet breads, cakes, treats, and toppings.” Today, the leprechauns were in the mood for poppyseed & lemon bread, and blueberry muffins it seems. The breads were both tasty, not overwhelmingly sweet. The blueberry ones weren’t quite blueberry enough for me, and a little dry. But I really enjoyed the lemon poppyseed, I feel like I could eat a whole loaf of that easily. The next plate to hit the table I didn’t even get a picture of because it was gone too quickly! Chef Brian’s special comes with an ‘appetizer’, which was a small wedge of pistachio pancake with homemade whip topping. 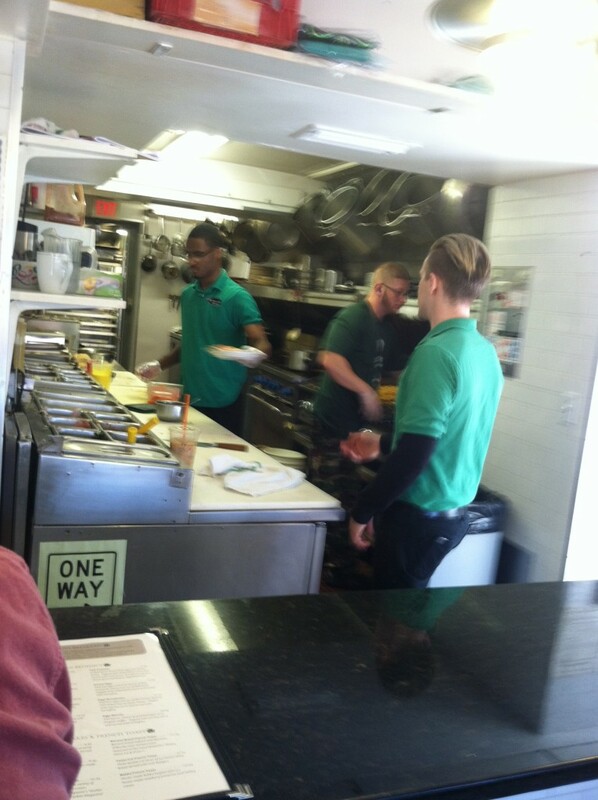 The pancake was Kelley green, and lightly nutty with just a hint of sweet. It was a delicious teaser for what followed. Chef Brian’s breakfast was a work of art. 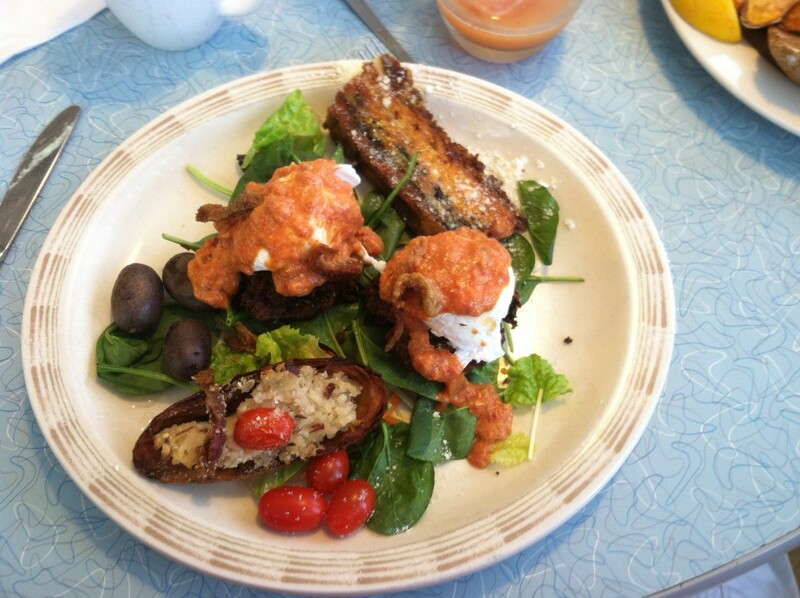 Two eggs benedict sat atop a bed of greens, tomatoes, and olives with two crostini on the side. It was like nothing any of us had ever tasted before. 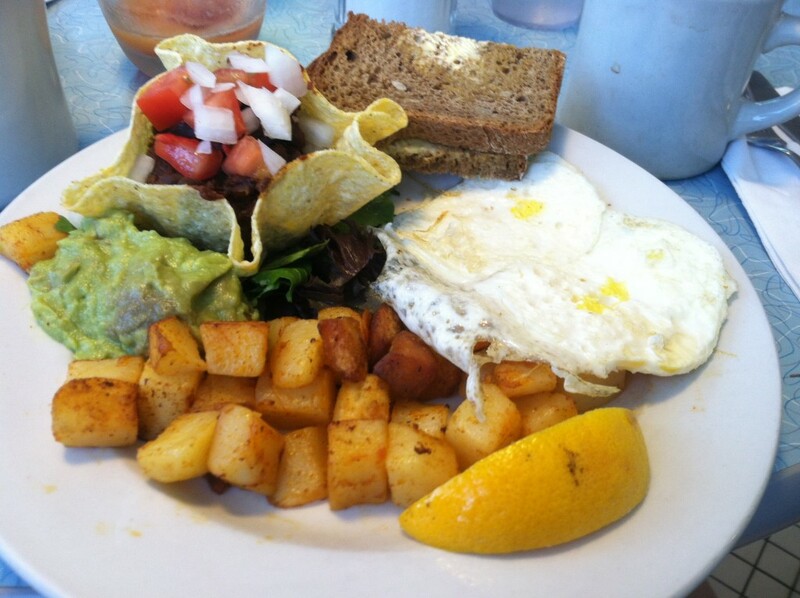 My choice was the Mexican breakfast platter – 2 eggs topped with black beans, guacamole, tomatoes & onions & home fries. I’m a big fan of black beans and guac, and was just in the mood for something different. This was just the ticket. With a healthy heaping of proteins (hello eggs and black beans on one plate!) and good fats from the avocado, this breakfast was very satisfying and I didn’t feel at all guilty about finishing the whole thing. 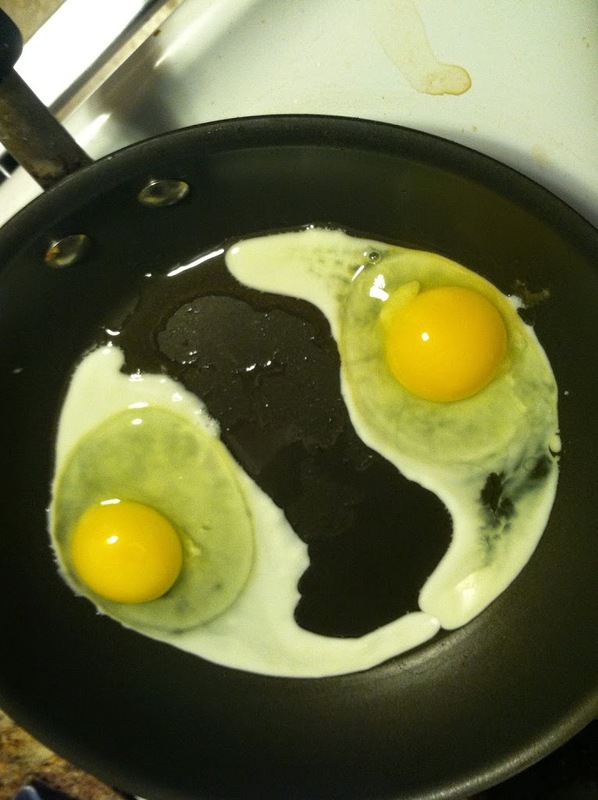 Though I did ask for my eggs scrambled, and they came out over-hard. My dining neighbor ordered the buckwheat pancakes with sweet potato homefries. A fellow healthy eater, she was very pleased with the health factor of this meal. Definitely not for a meat-and-potatoes kinda person, who would be confused by the heavier consistency. 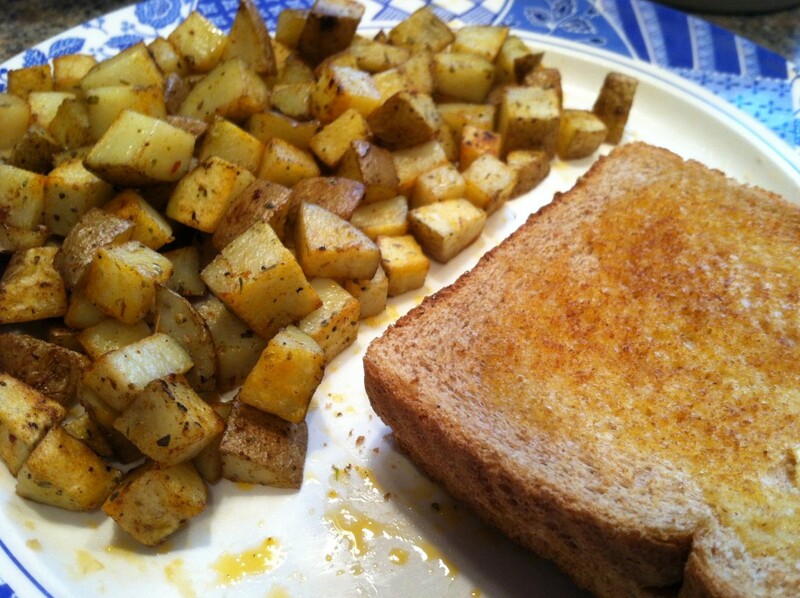 But I thought they were quite tasty, and the sweet potato homefries are a great idea. But the breakfast that really took the cake was of course the DDD special: Banana Bread French Toast. Diner, Drive-Ins, and Dives recommended this plate, and now we know why! 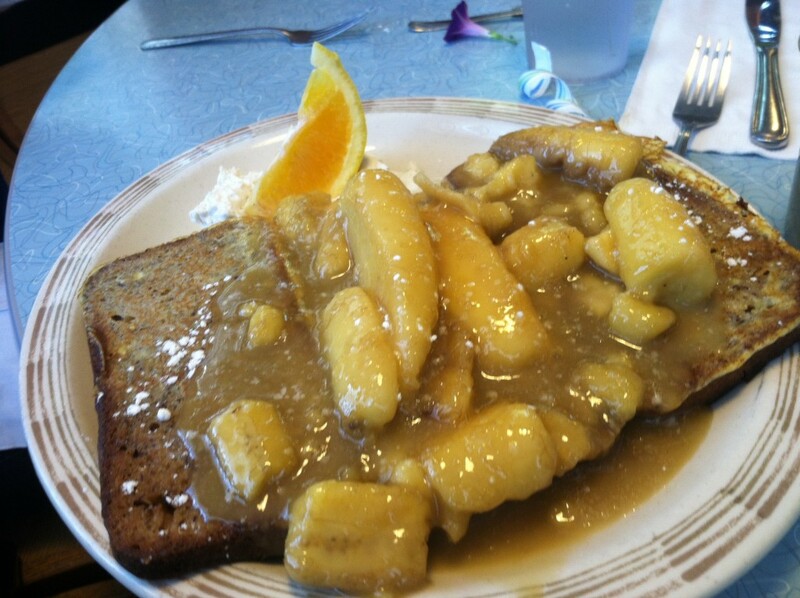 Two thick, hot slices of house made banana bread, coated in egg and fried, then doused in sweet syrupy cooked bananas. It was absolutely delicious! Lesson learned, when a very famous person know for eating good food recommends a certain dish, that’s probably what you should order! This recipe is so simple, you can make it for one person or a dozen, using only a plastic cup & frying pan, or the fanciest of oven-safe cast iron cookware. 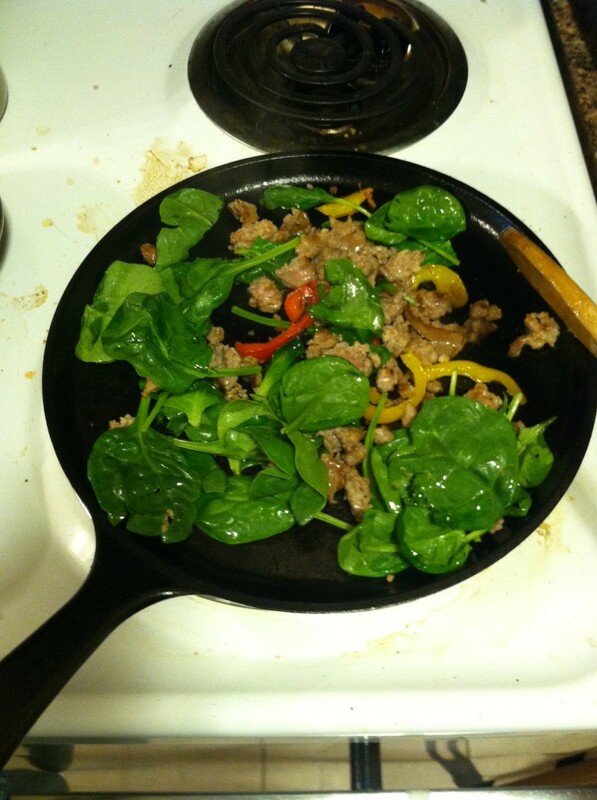 I used one turkey sausage link and a few slices of bell pepper, plus bagged spinach. But feel free to use whatever veggies you have in the fridge, like onion, carrots, broccoli, etc. Scale up by multiplying the ingredients list by however many people you are wanting to serve. You could also put bread in the bottom of an oven-safe pan and pour this over it to create a breakfast strata, or just scramble it all in a pan if you don’t have a stove-top-to-oven pan. 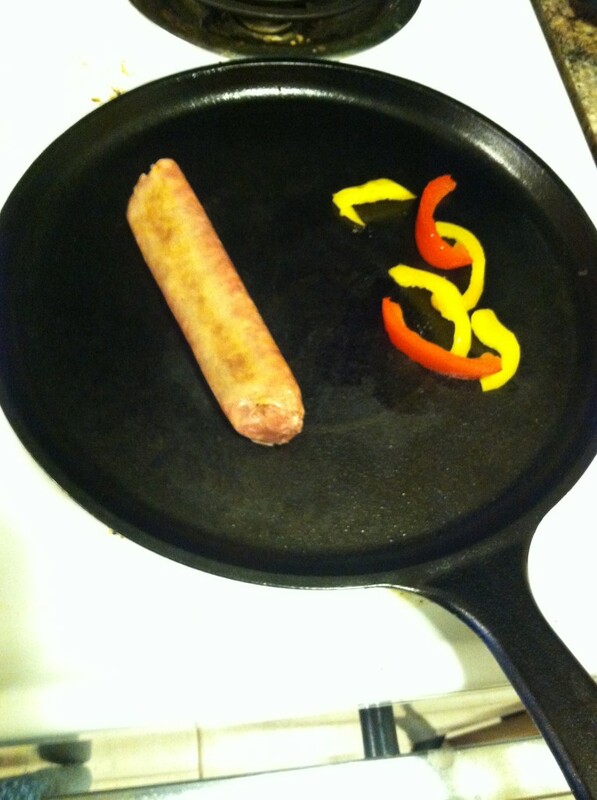 Step 1: In a frying pan or cast iron skillet, brown the sausage link. (You could also use a 1/4 cup of ground sausage or a patty). Cut the sausage into small bite sized pieces. Step 2: Break the eggs into a bowl or cup. Scramble them well with a fork, until fluffy. 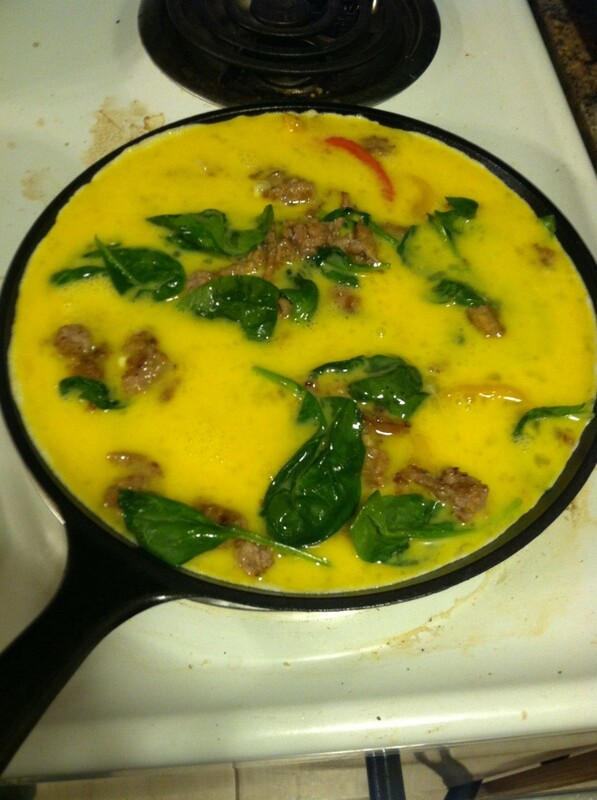 Step 3: In the skillet, using sausage oils, cook the peppers 5-6 minutes until softened, then add spinach. Cook just a few minutes, until wilted. Add the sausage back in and mix. 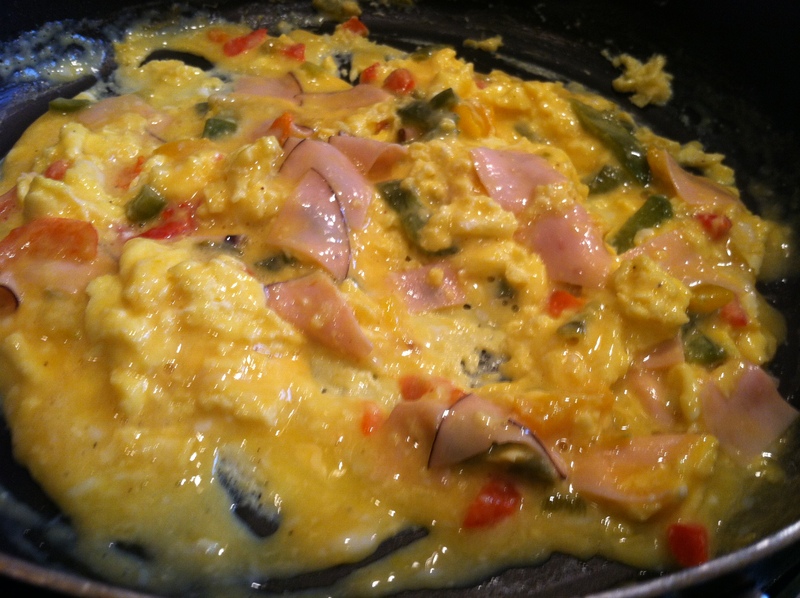 Step 4: Pour the scrambled eggs on top, and distribute evenly around the pan. Let cook on medium heat, for 7-8 minutes, until the eggs are halfway cooked. 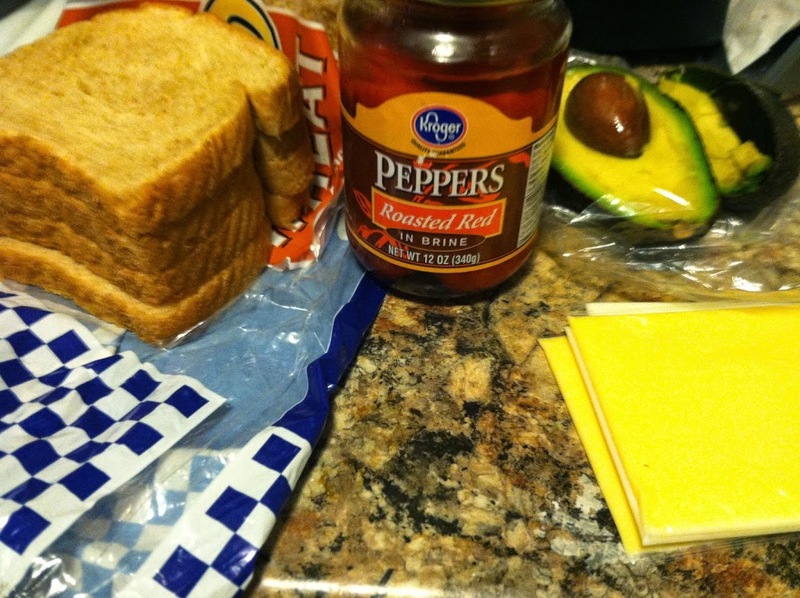 If using, sprinkle on the cheddar cheese, and add the seasoning. Step 5: Assuming you are using an oven-safe pan, put the entire pan into the oven (carefully!) on 350 F for 10 minutes to fully cook the eggs. 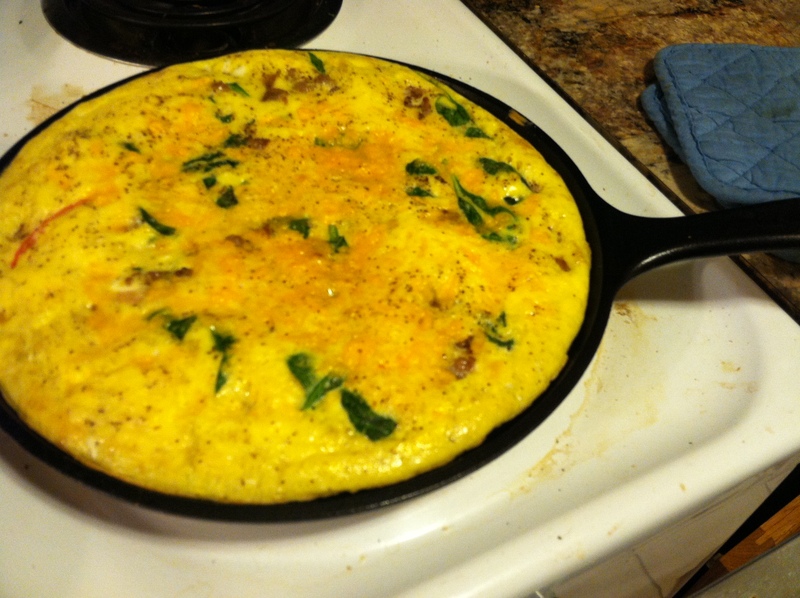 Alternatives here are to scramble it, or make it into an omelet by flipping it in half. Cut into pizza slices, and enjoy! 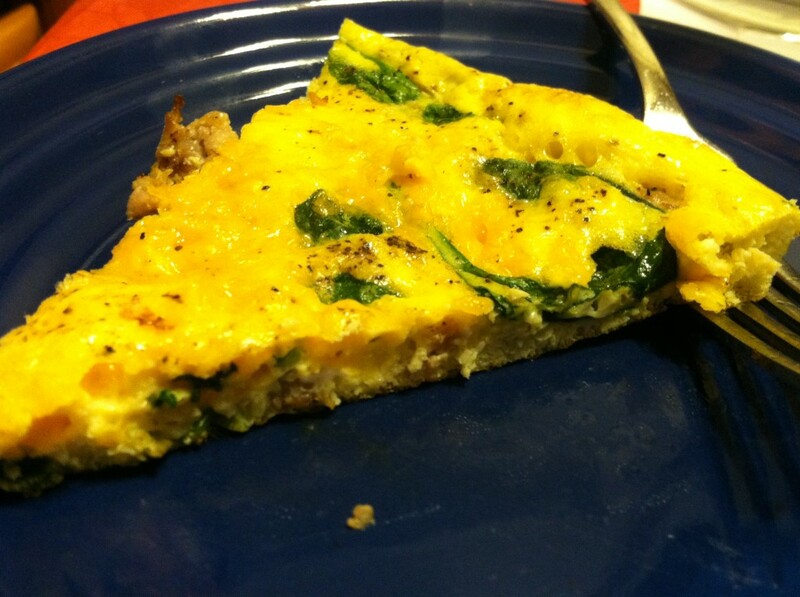 This is a great brunch recipe, could be breakfast for dinner, and is even fast & easy enough to make for yourself on a weekday morning. 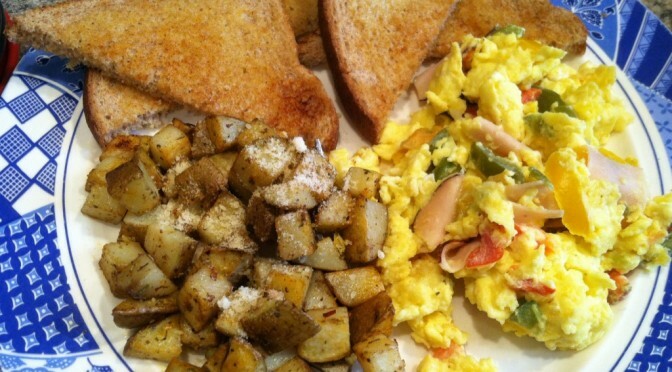 Feel free to omit the sausage for a quick & delicious vegetarian breakfast as well. In a frying pan or cast iron skillet, brown the sausage link. (You could also use a 1/4 cup of ground sausage or a patty). Cut the sausage into small bite sized pieces. Break the eggs into a bowl or cup. Scramble them well with a fork, until fluffy. 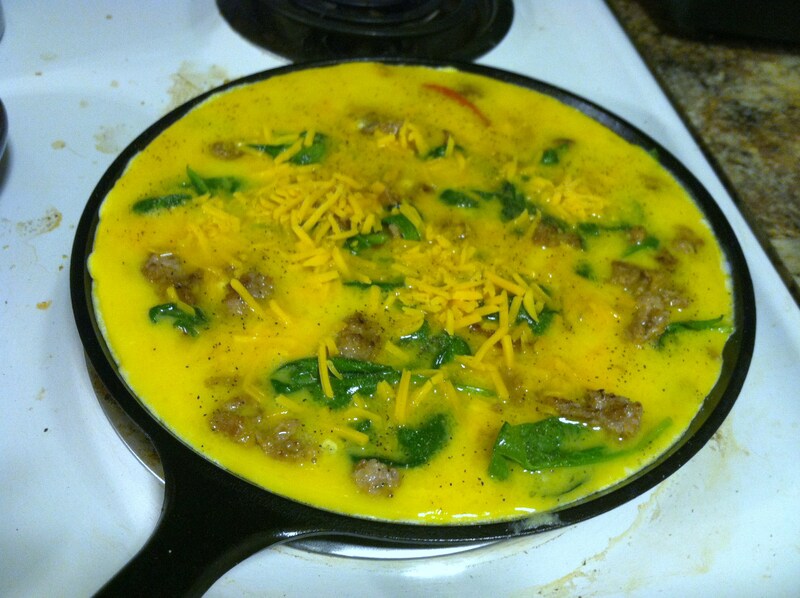 In the skillet, using sausage oils, cook the peppers 5-6 minutes until softened, then add spinach. Cook just a few minutes, until wilted. Add the sausage back in and mix. Pour the scrambled eggs on top, and distribute evenly around the pan. Let cook on medium heat, for 7-8 minutes, until the eggs are halfway cooked. Assuming you are using an oven-safe pan, put the entire pan into the oven (carefully!) on 350 F for 10 minutes to fully cook the eggs. Alternatives here are to scramble it, or make it into an omelet by flipping it in half. Whenever you go to a diner, you know the kind, with linoleum floors, a jukebox, and likely some kind of dated decor, you have to get the classics. 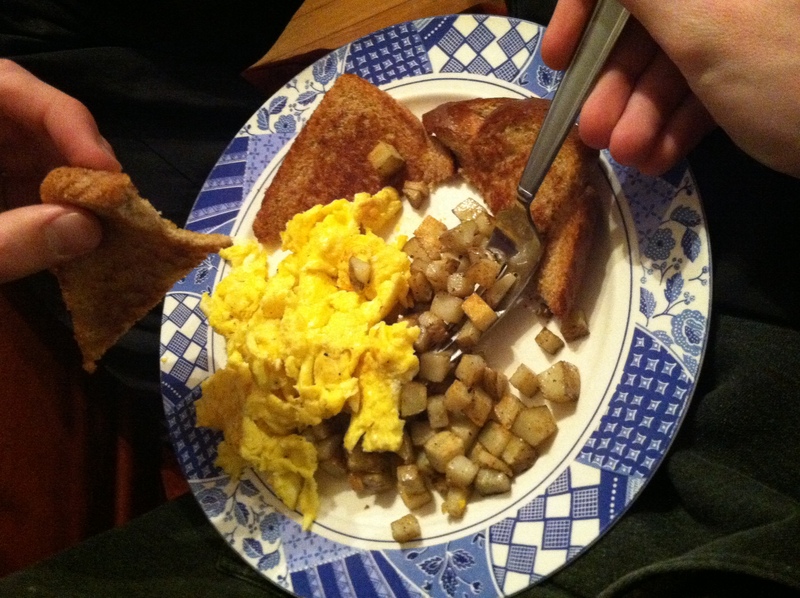 Hashbrowns, scrambled eggs, and toast. Don’t forget the endless coffee. This makes enough for two hearty servings. Coffee separate. Step 1: If using veggies or meats, cook those 5-7 minutes in a frying pan. You can also just leave the eggs plain, or fry them over-easy. Step 2: Dice the potatoes into small cubes. To make it faster, microwave for 6-7 minutes. Heat the oil in a pan (you can use the same one from the eggs) and add the potatoes. Cook, covered, for 5 minutes. Stir and add seasonings, then cook another 5 minutes or until soft but crisp outside, stirring often. Step 3: Toast the bread using a toaster or by buttering and placing in the frying pan for 1 minute per side. Place all the components on a plate, and enjoy! This looks very visually appealing, and tastes divine. Proof that you don’t need anything too fancy for a perfect and satisfying meal. Breakfast is also great any time of day, you can totally have breakfast for dinner. And breakfast foods tend to be cheap too, the cost of 3 eggs, 2 potatoes, and 4 slices of bread is likely under a dollar. 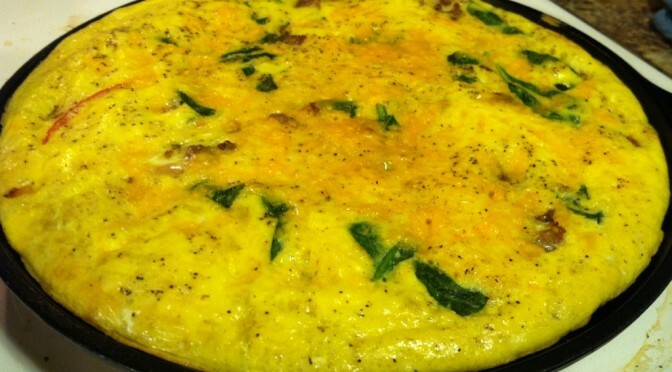 If using veggies or meats, cook those 5-7 minutes in a frying pan. 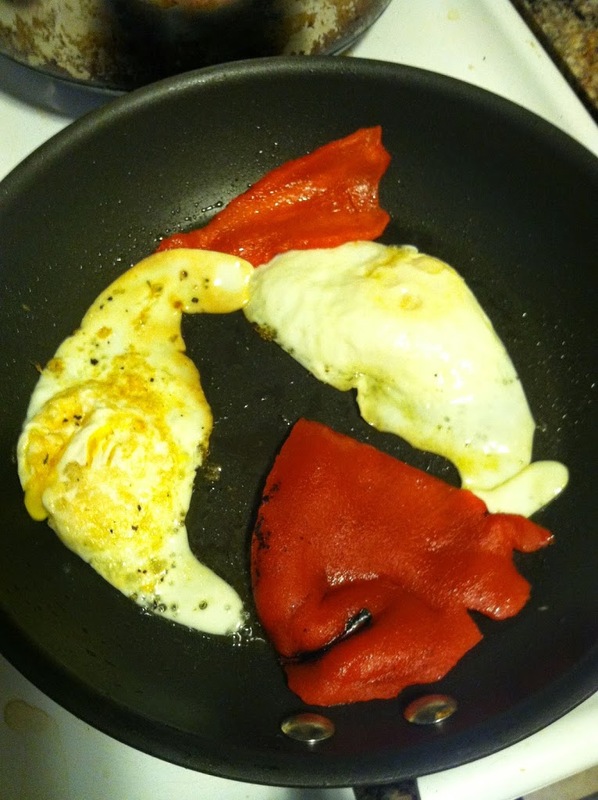 You can also just leave the eggs plain, or fry them over-easy. Dice the potatoes into small cubes. To make it faster, microwave for 6-7 minutes. Heat the oil in a pan (you can use the same one from the eggs) and add the potatoes. Cook, covered, for 5 minutes. Stir and add seasonings, then cook another 5 minutes or until soft but crisp outside, stirring often. Toast the bread using a toaster or by buttering and placing in the frying pan for 1 minute per side.